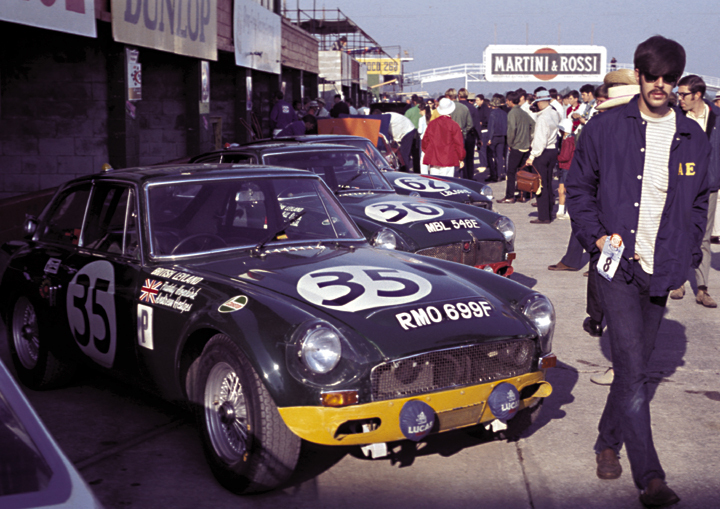 Romeo and Mabel (RMO 699F and MBL 546E) ready for the start of the 12 Hour race at Sebring in 1969. 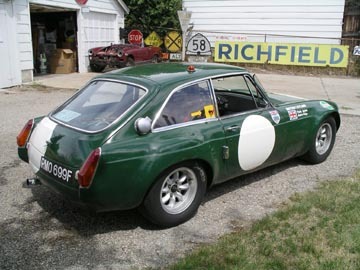 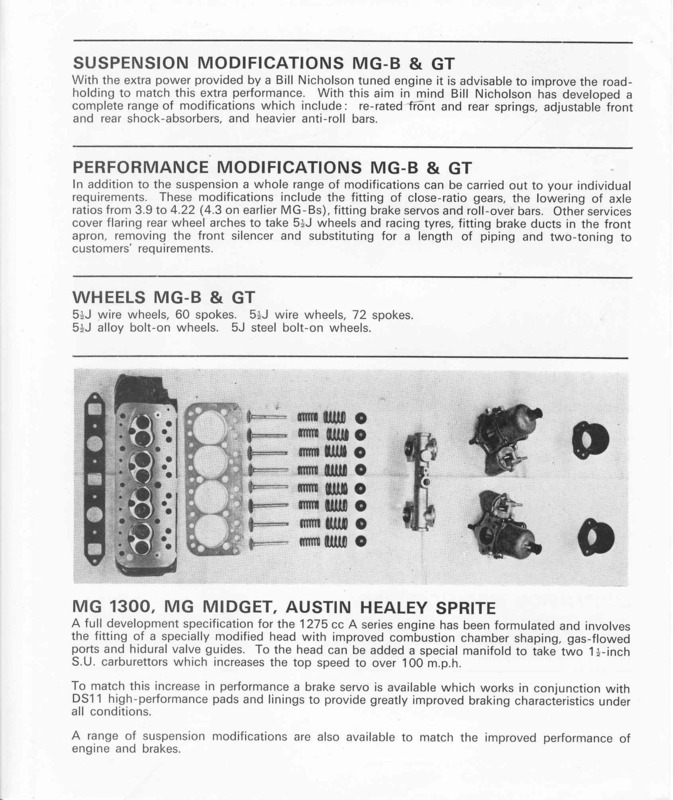 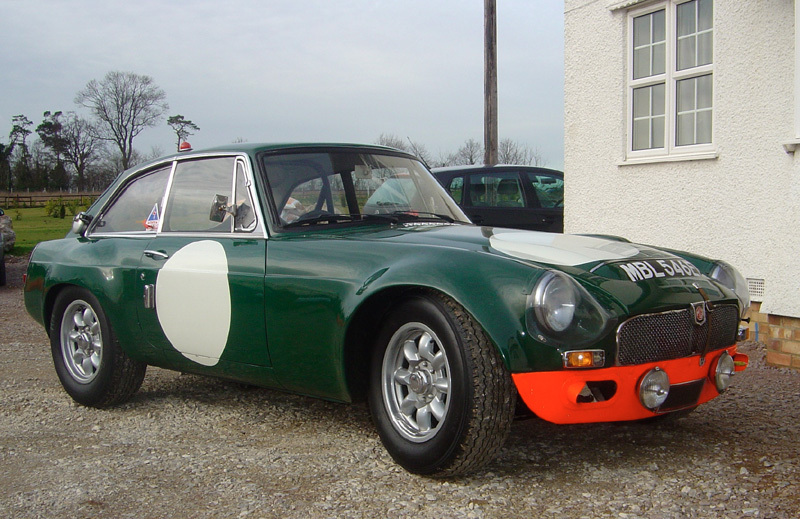 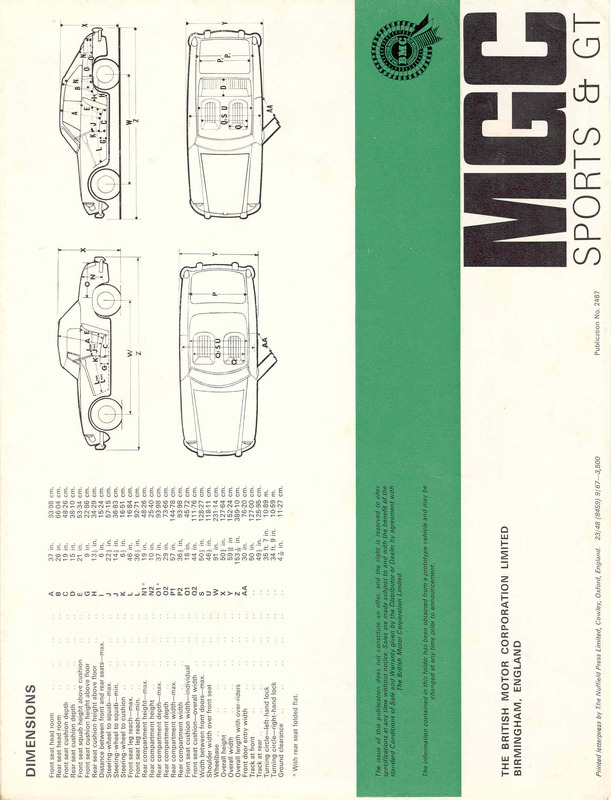 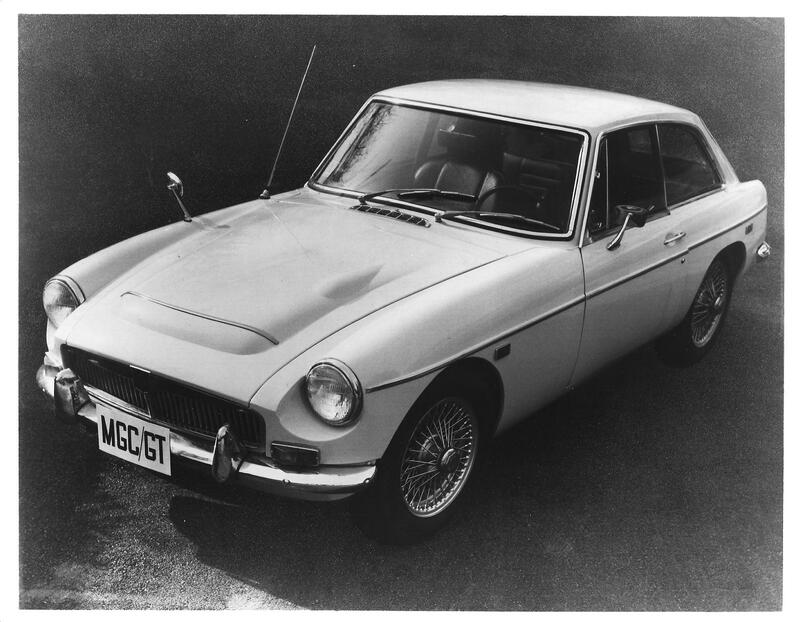 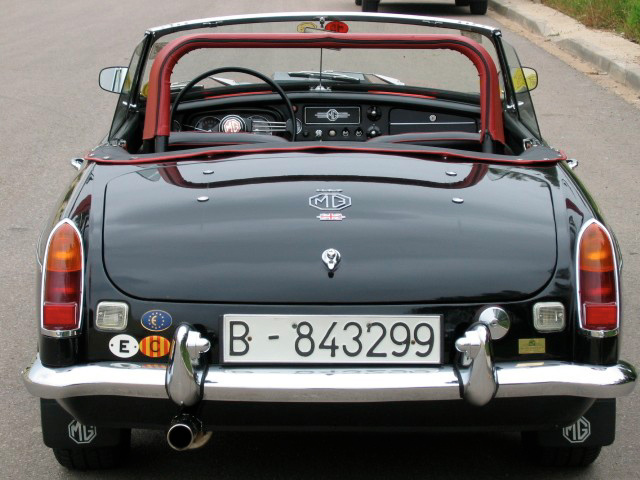 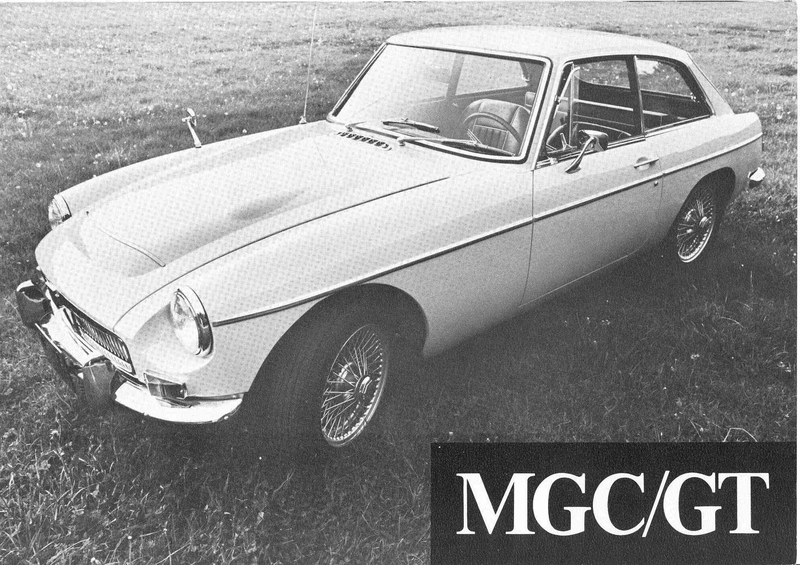 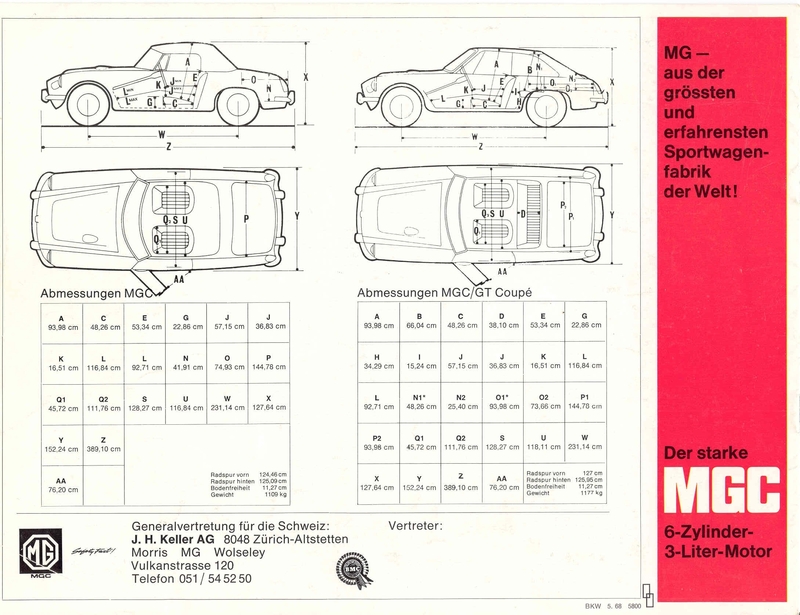 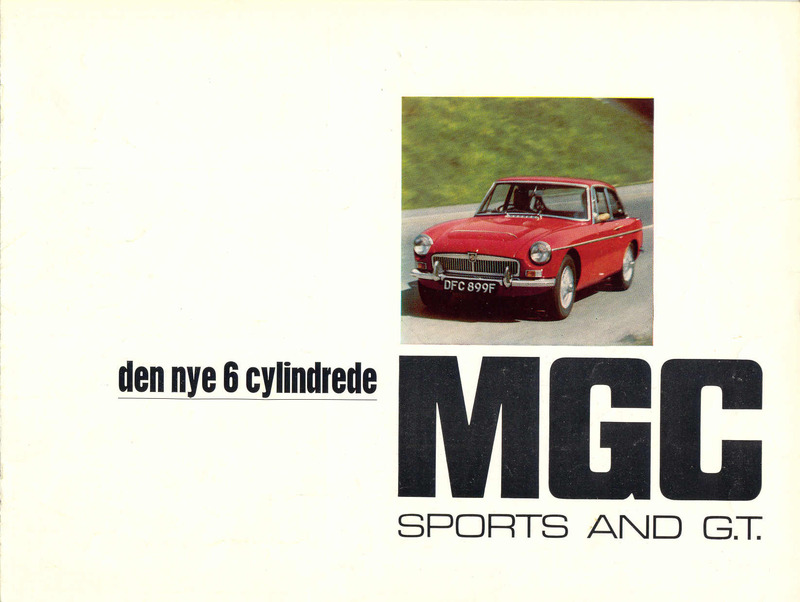 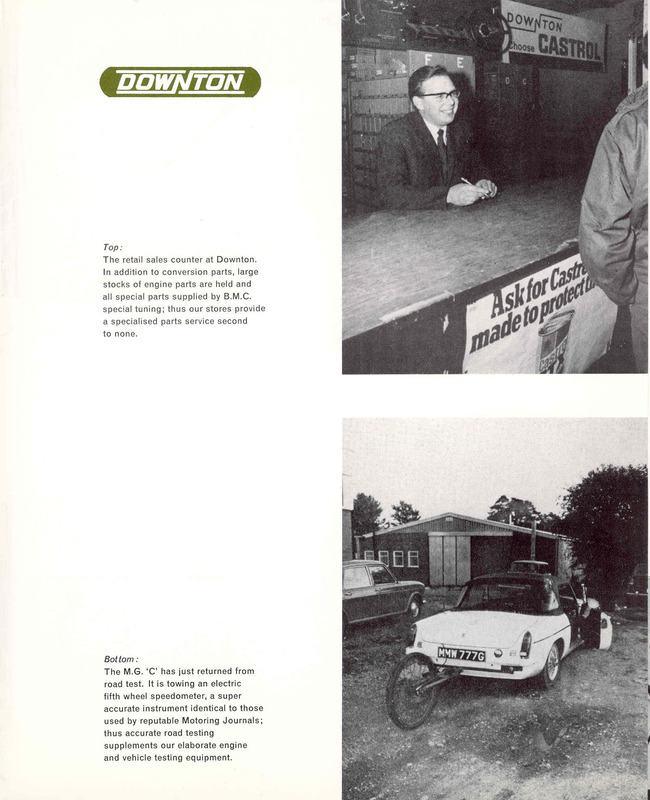 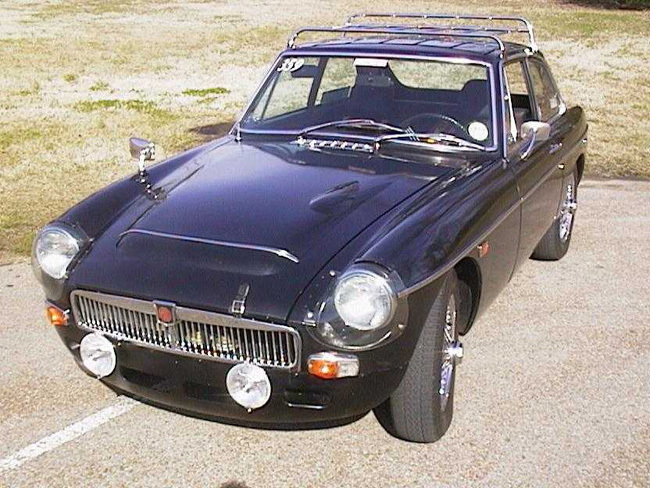 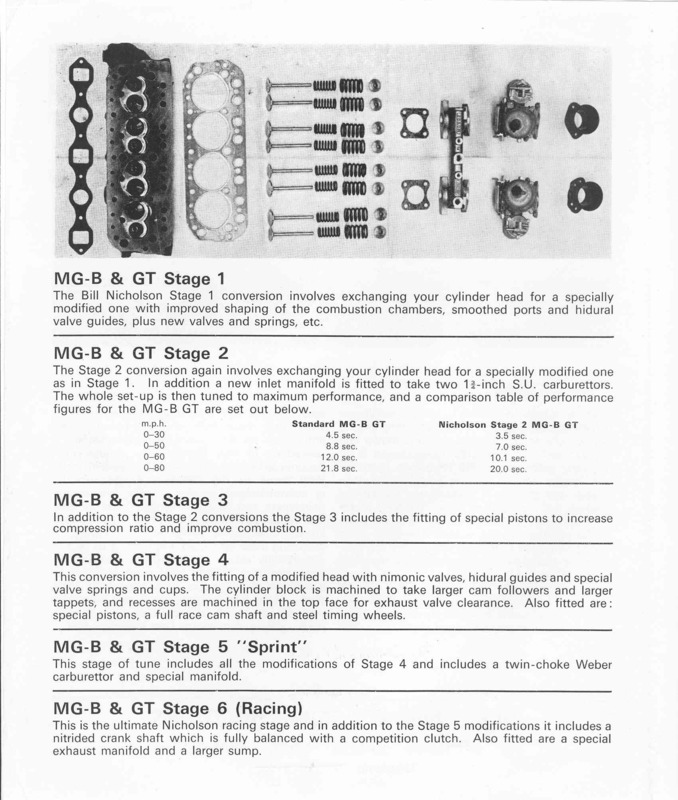 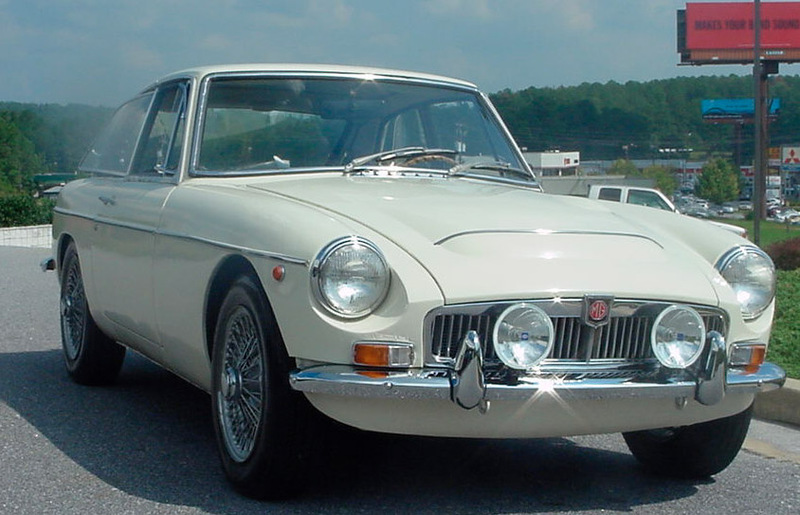 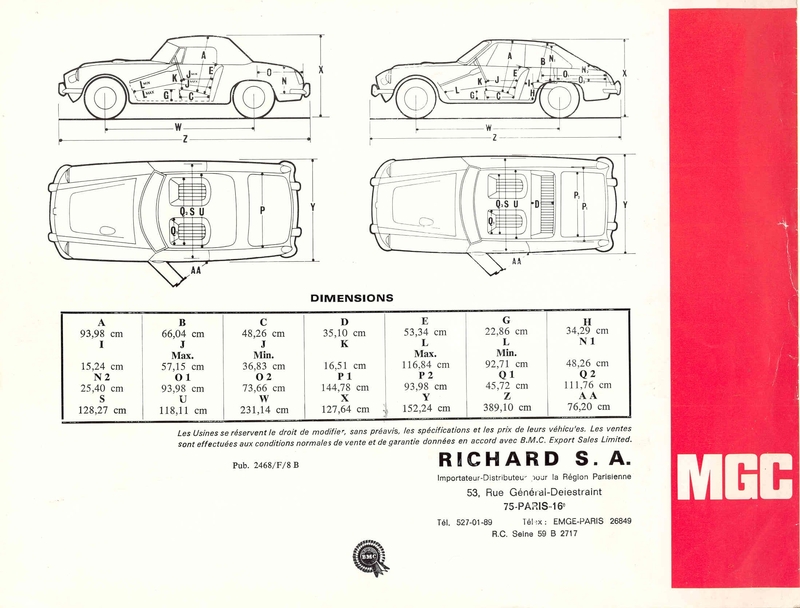 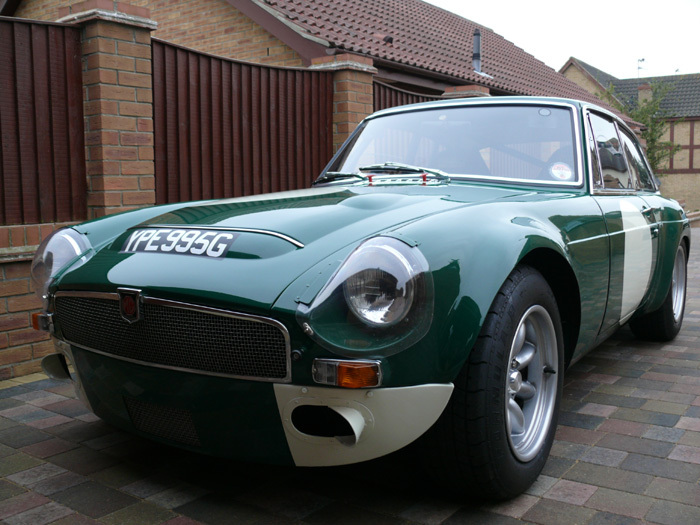 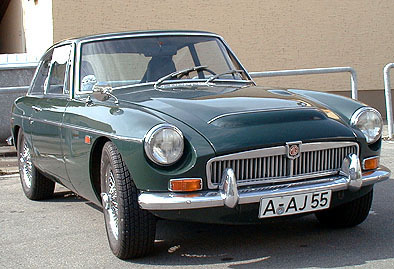 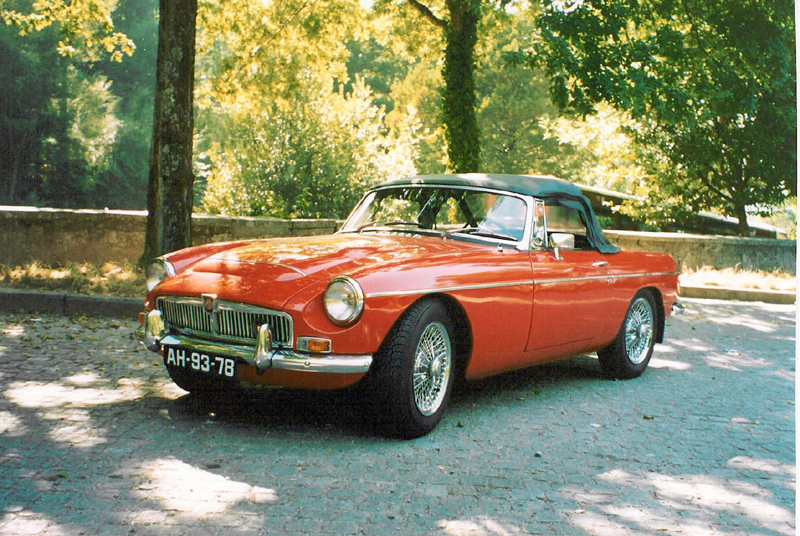 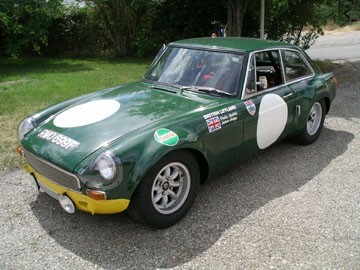 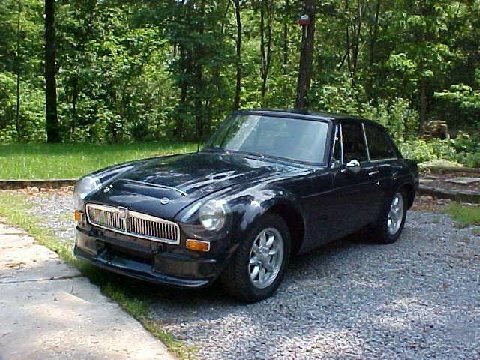 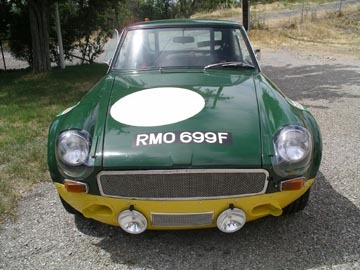 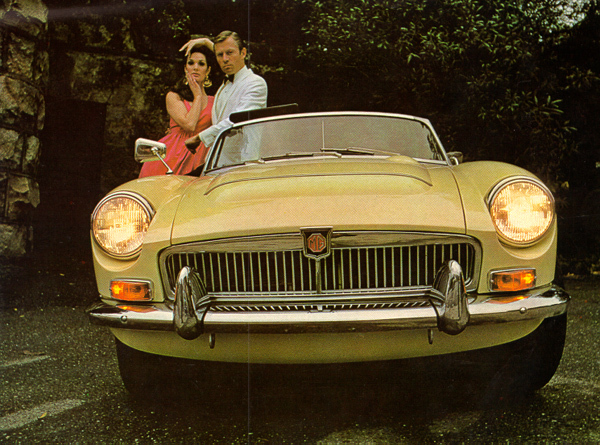 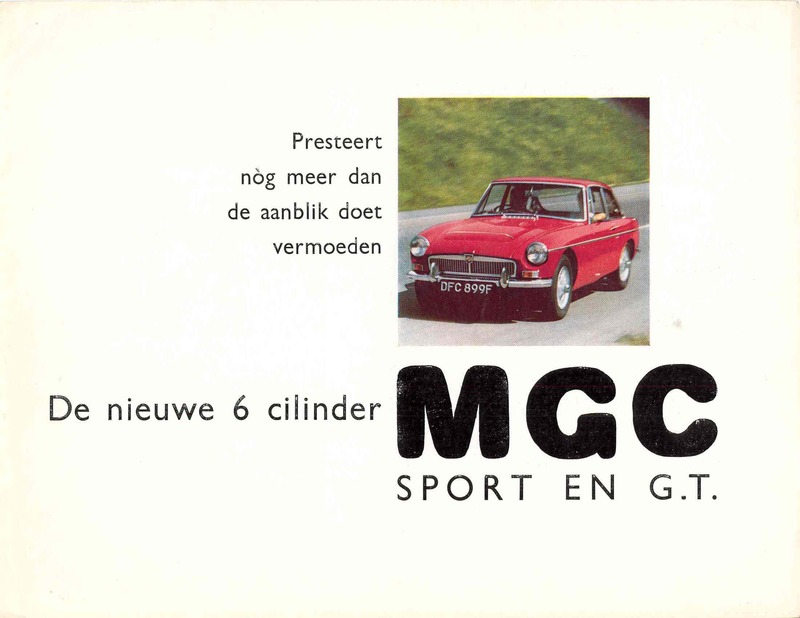 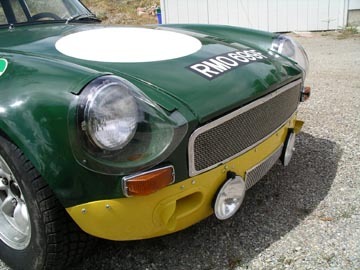 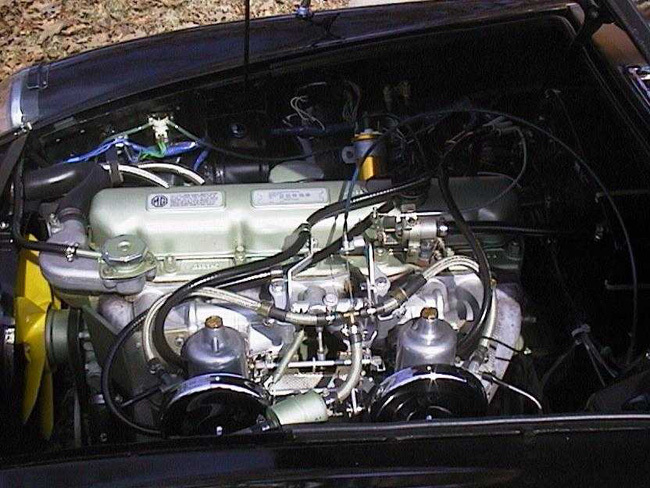 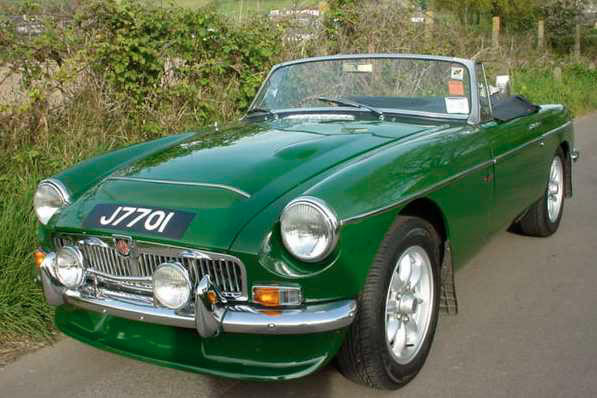 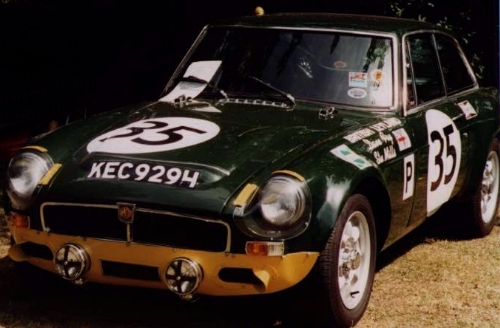 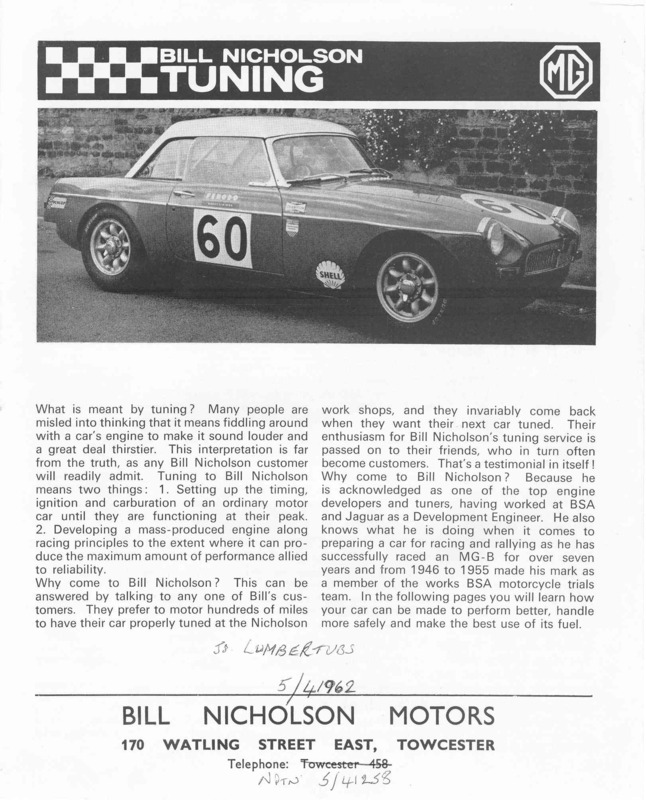 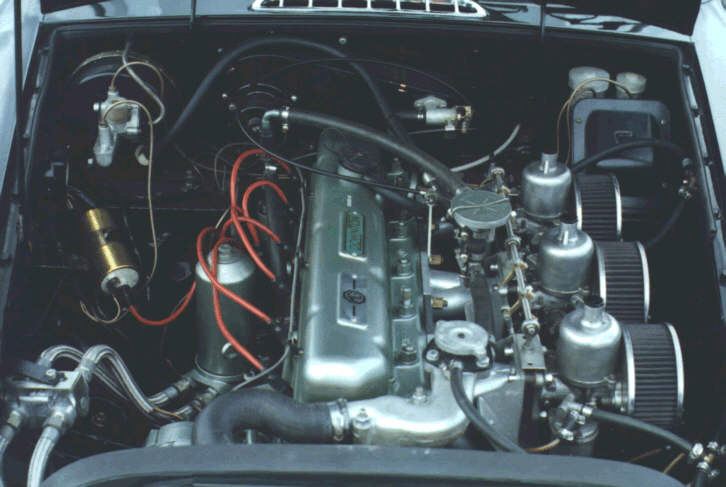 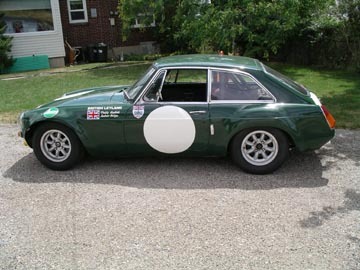 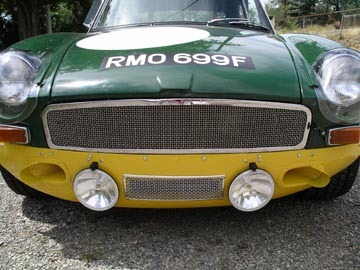 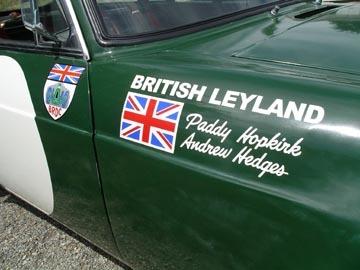 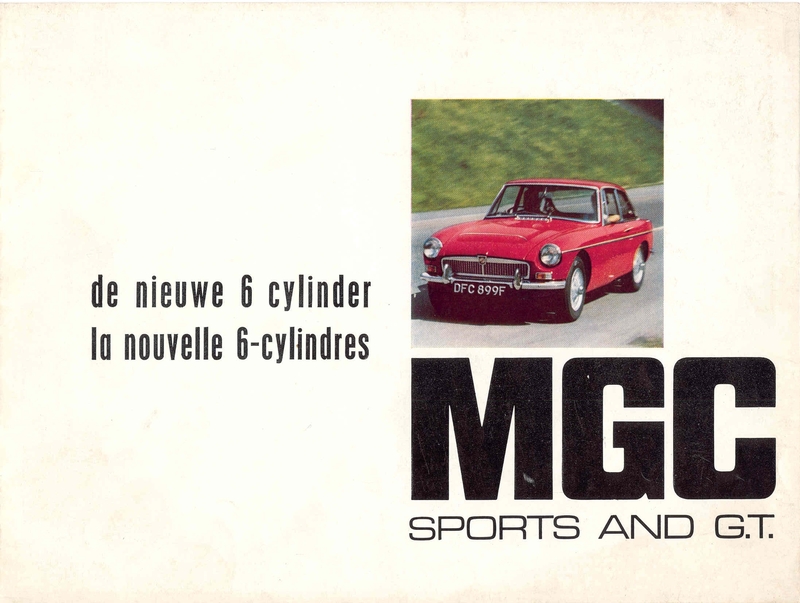 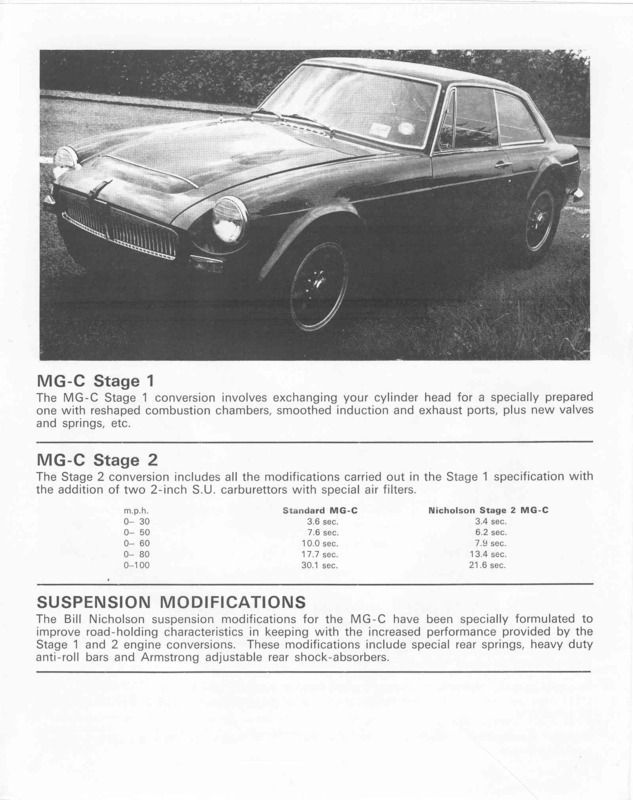 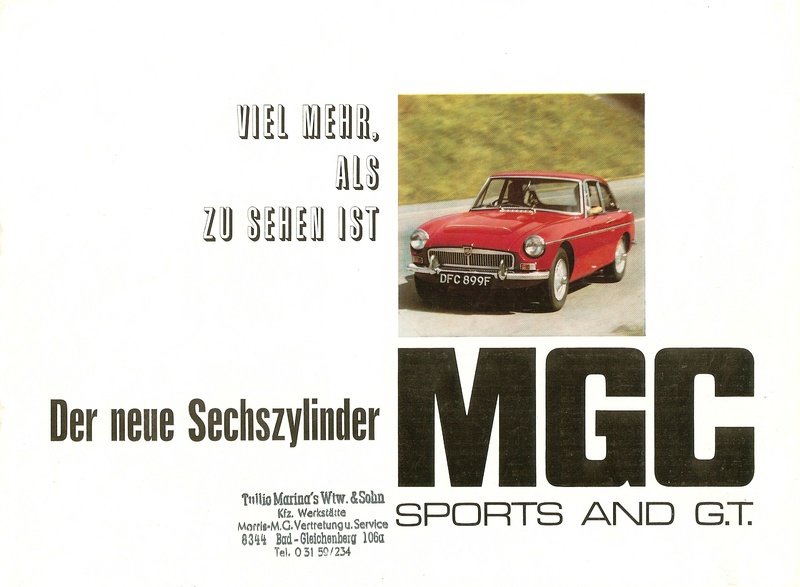 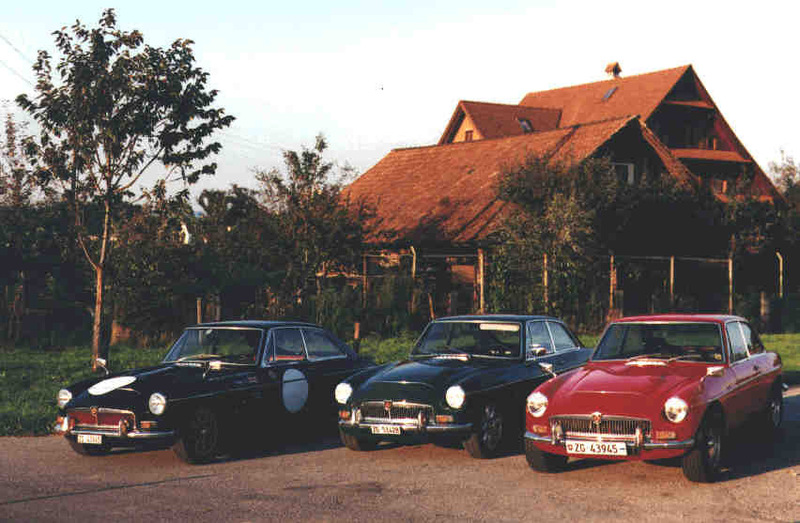 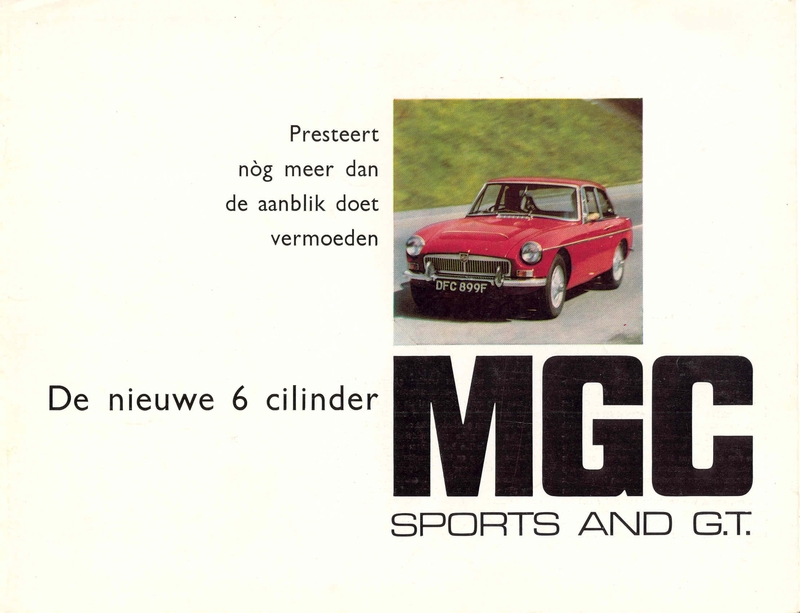 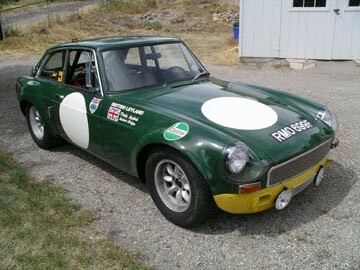 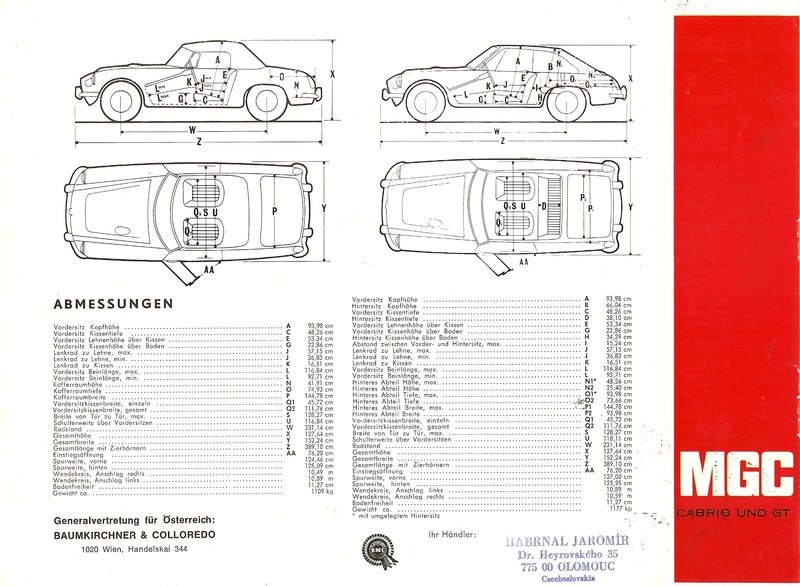 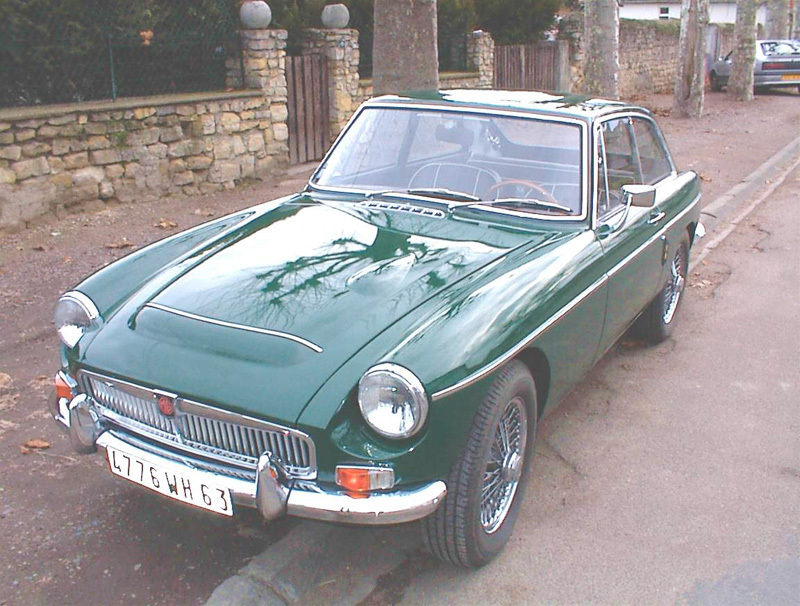 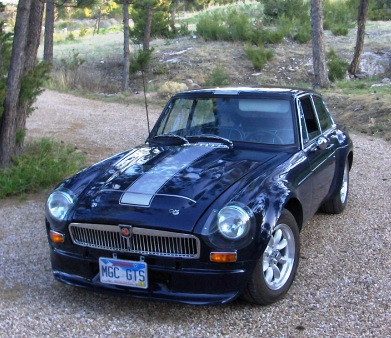 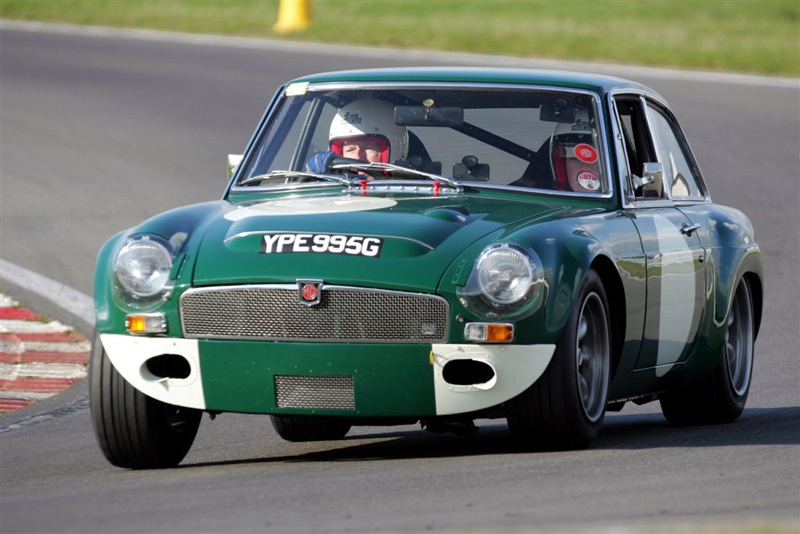 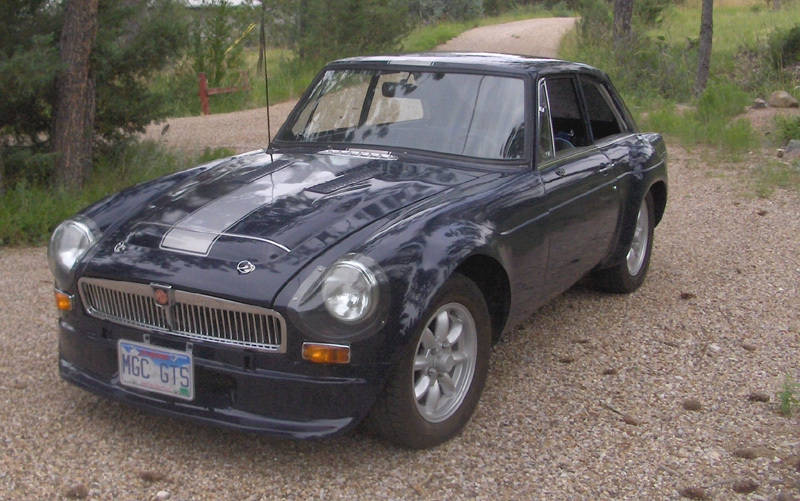 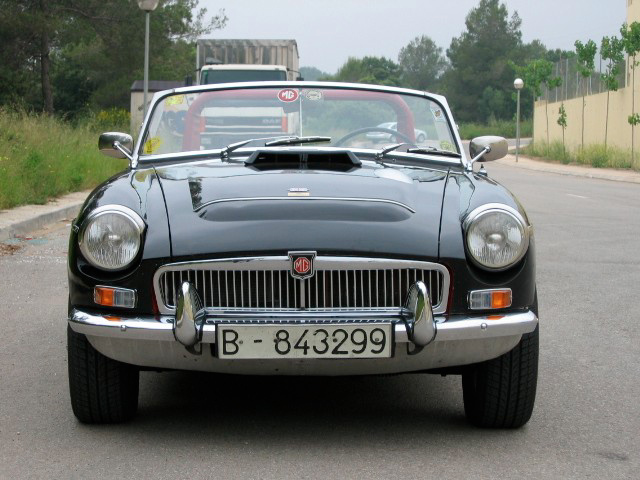 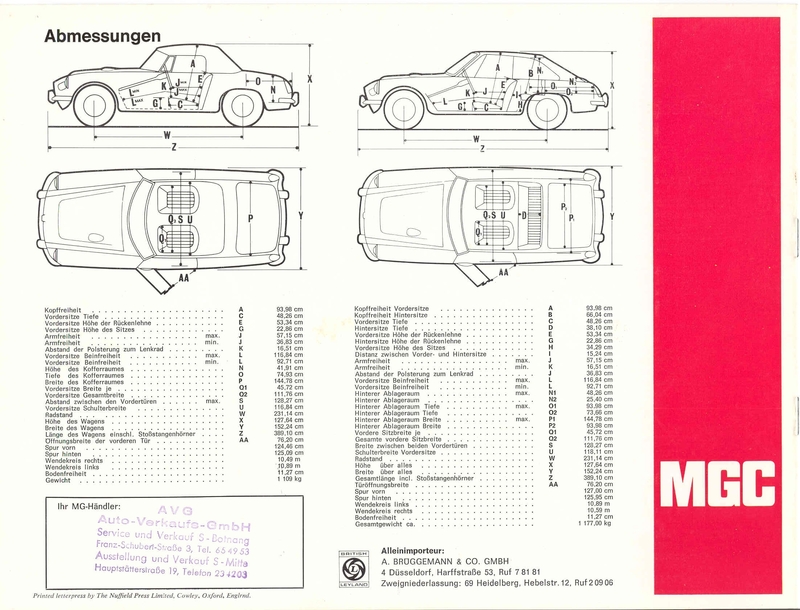 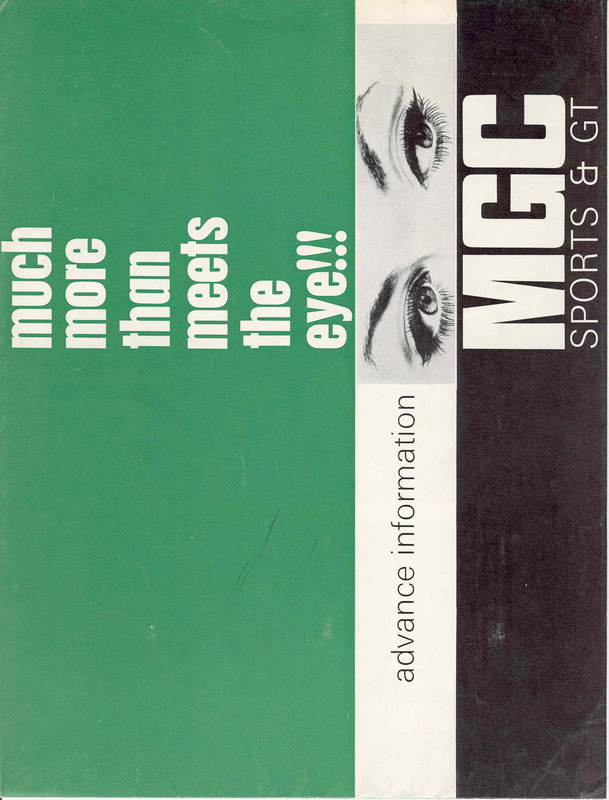 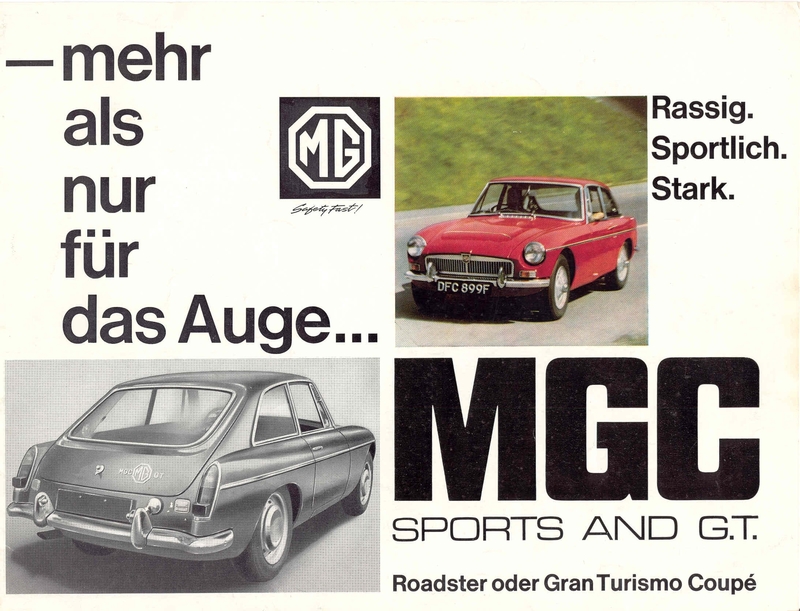 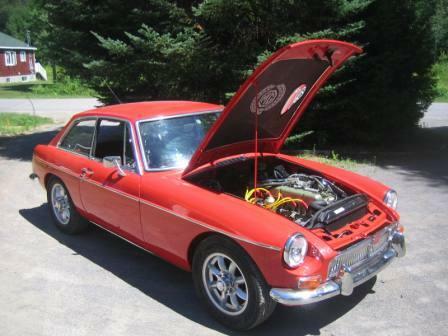 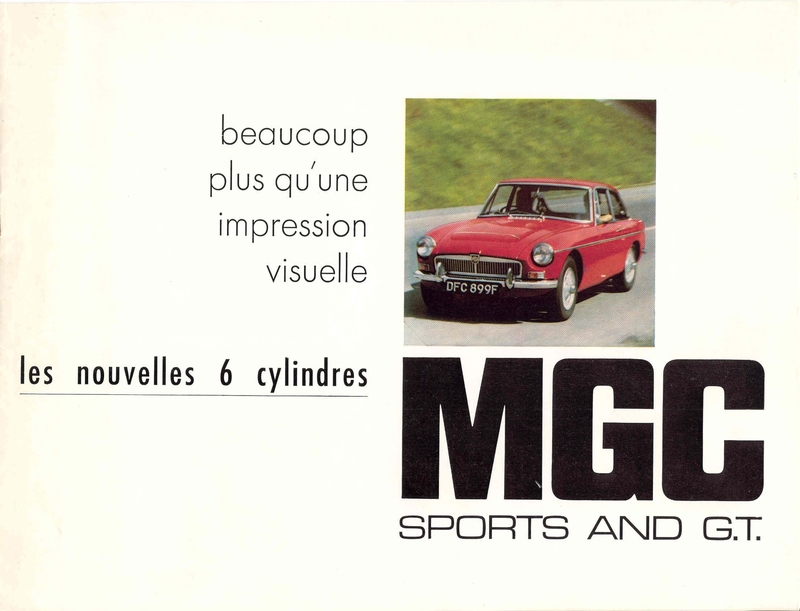 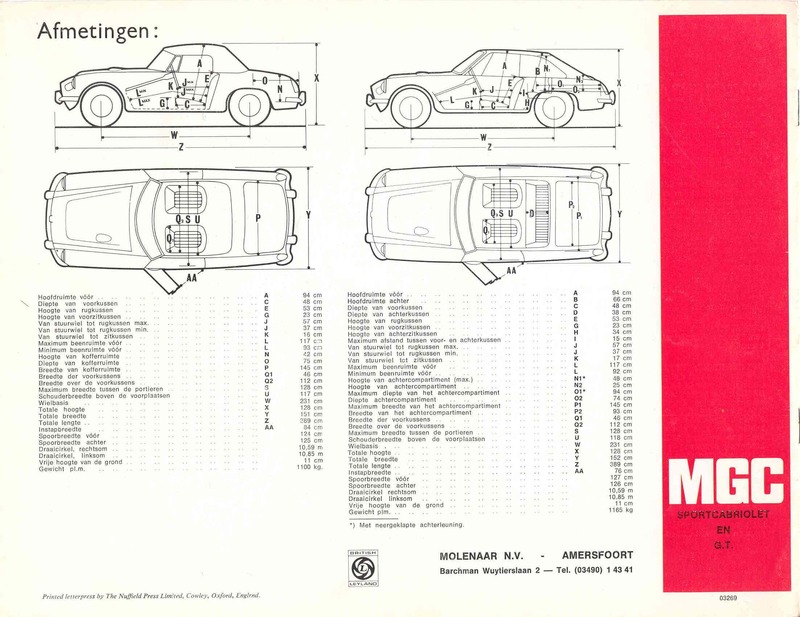 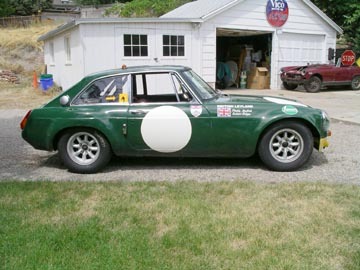 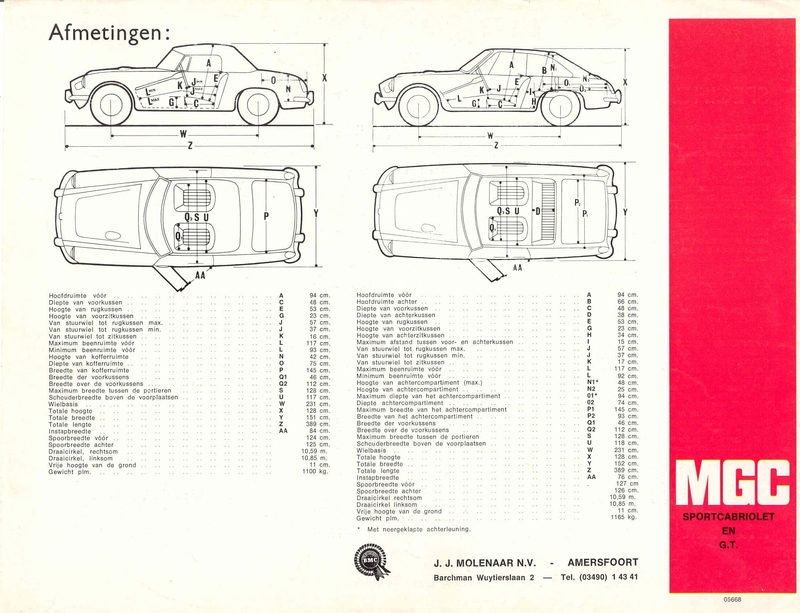 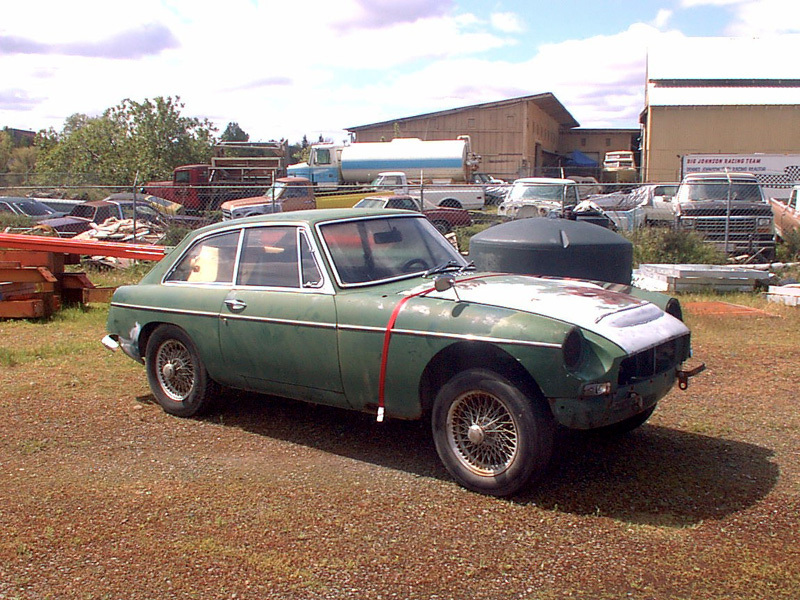 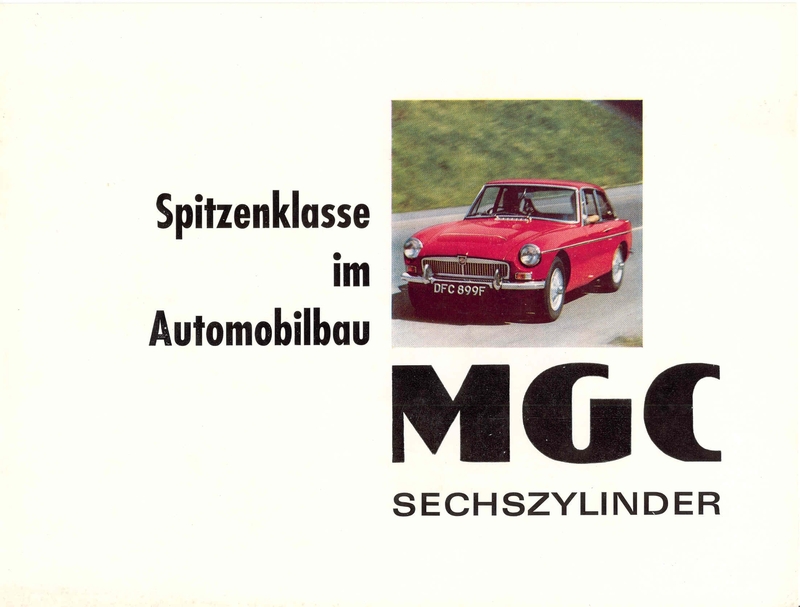 Also visible is the MGB GT that raced with them that year, LBL 591E. 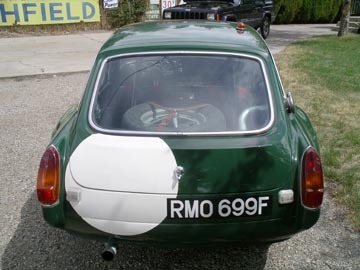 This has taken five years of hard work on a complete basket case. 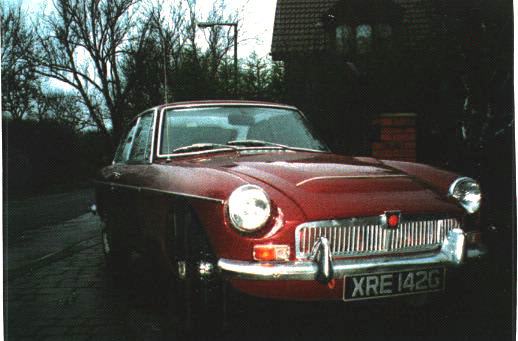 Purchased Jan 1999 in need of restoration. 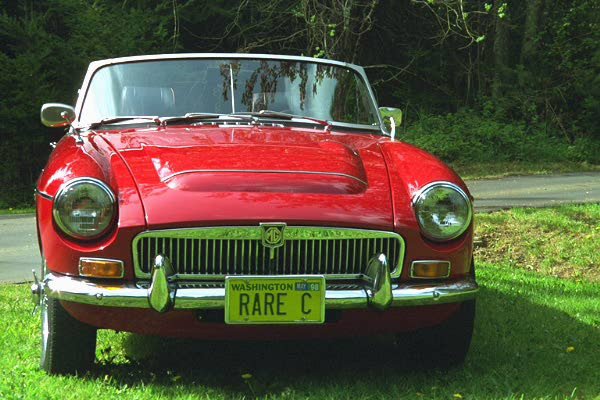 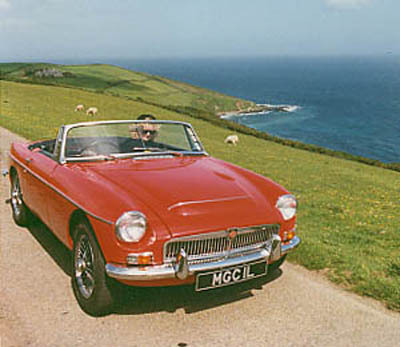 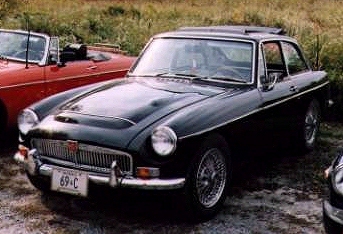 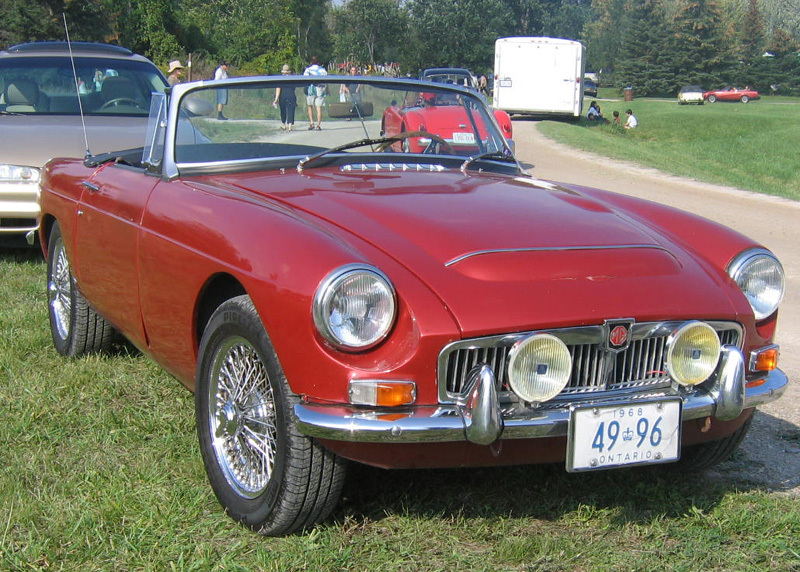 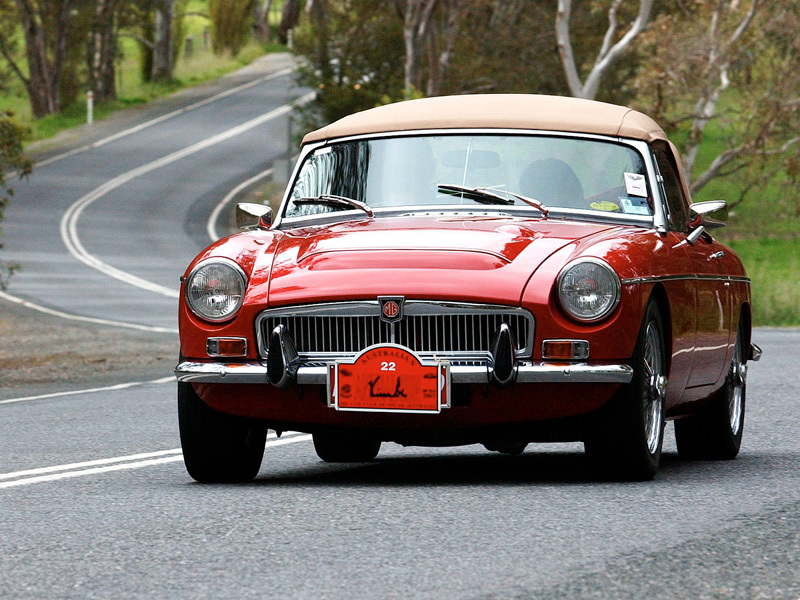 MGC parked on the beach. 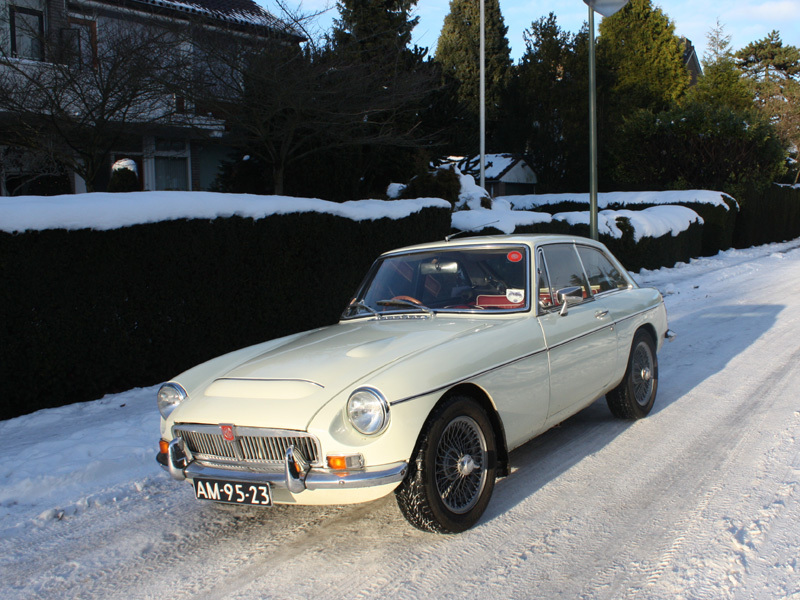 Joern-M. Mueller-Neuhaus' MGC GT 30 years old and still with the original paint and no rust! 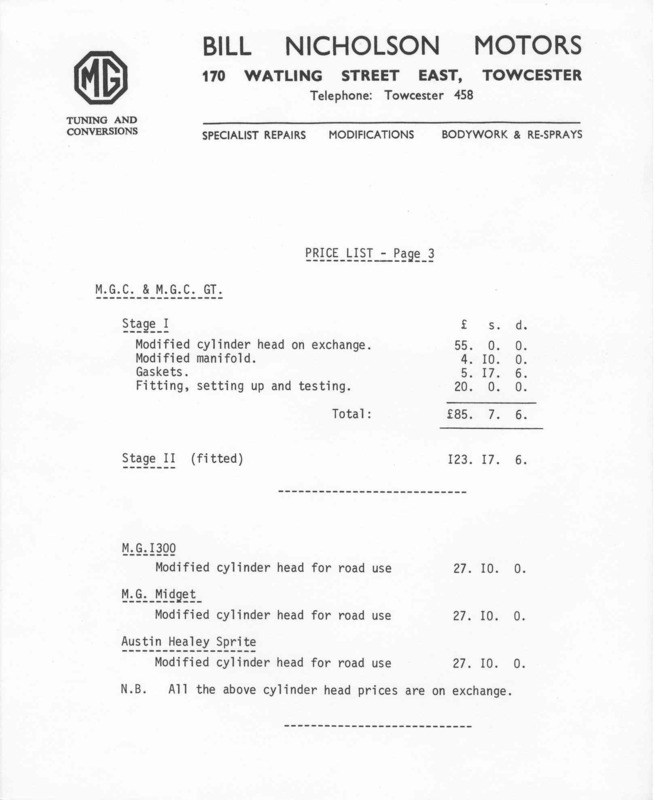 The chassis-# is GCD1U 7657G , alongside his B. 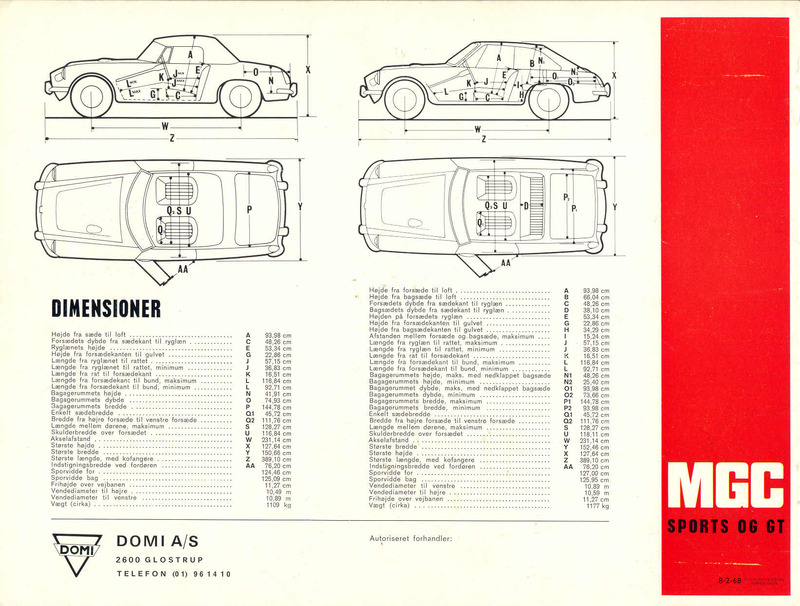 The plate at the top of this page also belongs to Joern. 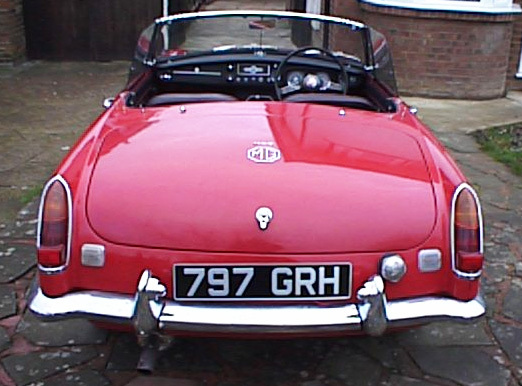 Shiny and polished! 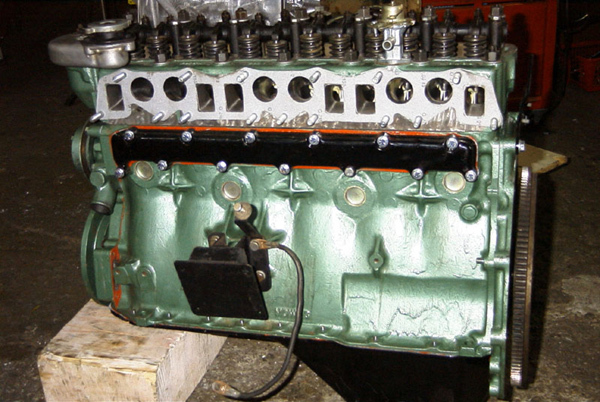 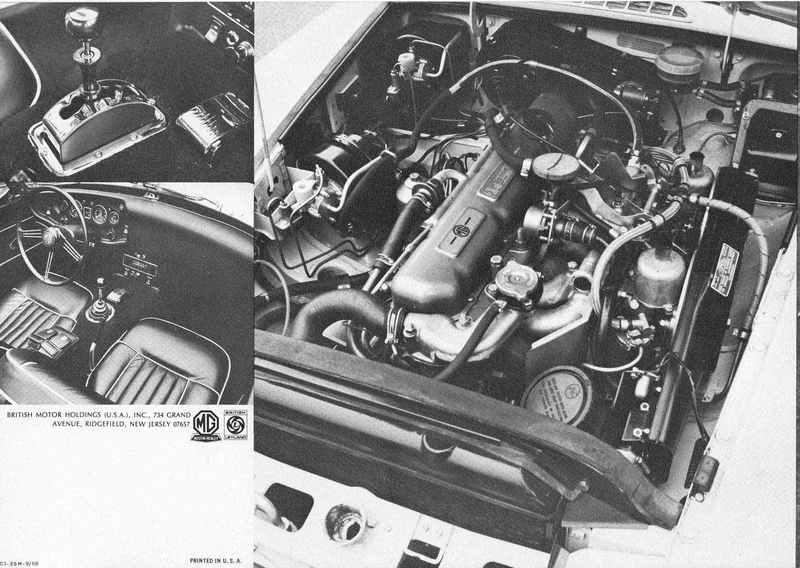 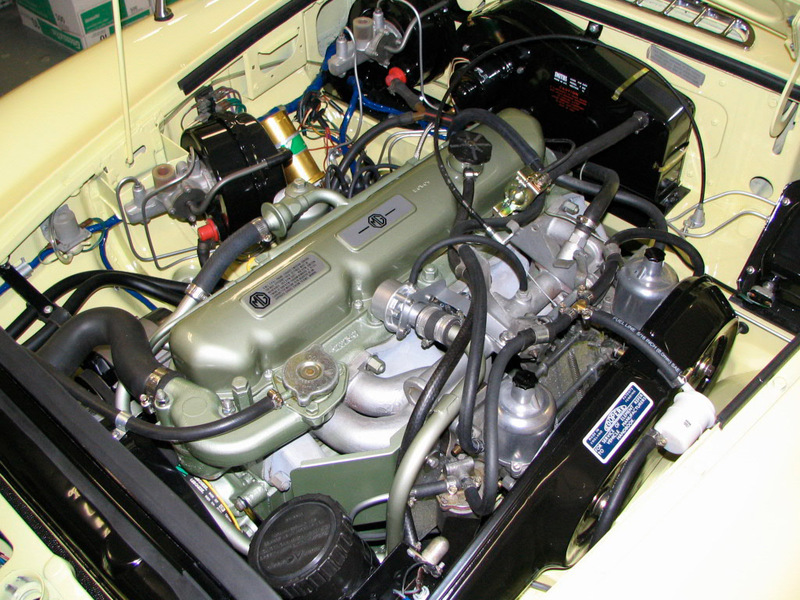 New engine with ported Stage2-head - watch the gleaming inlet & exhaust porting!! 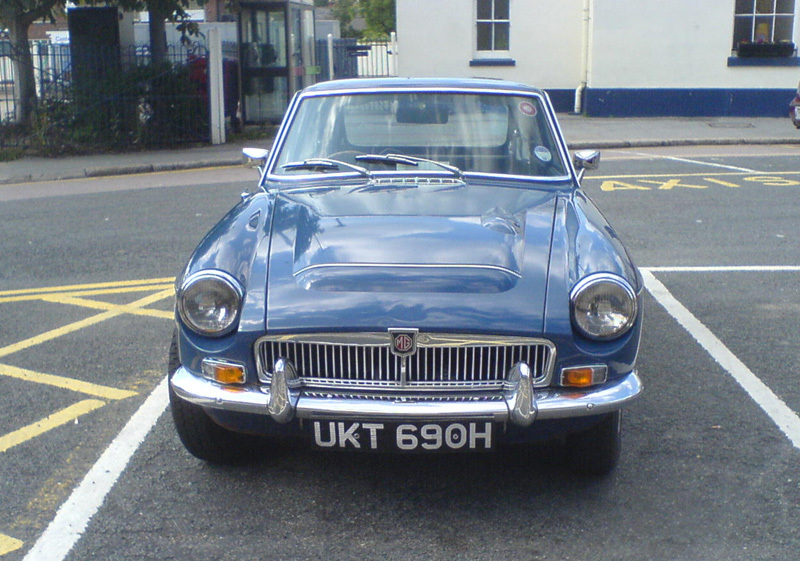 Taken on the beach again..
in Jersey, Channel Islands. 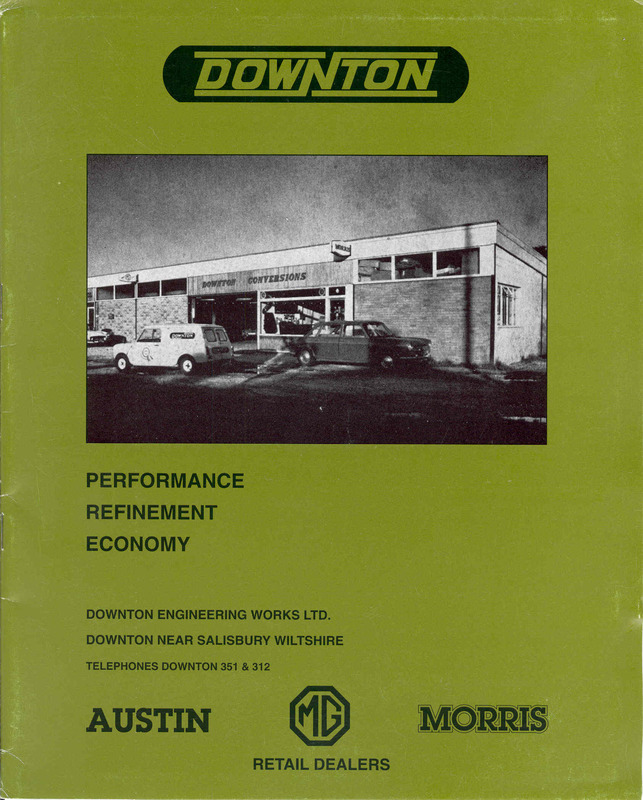 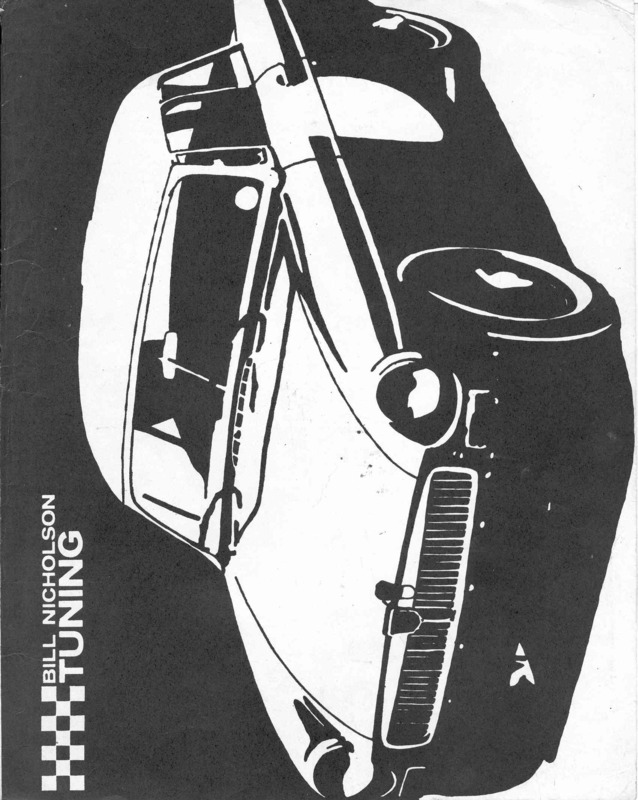 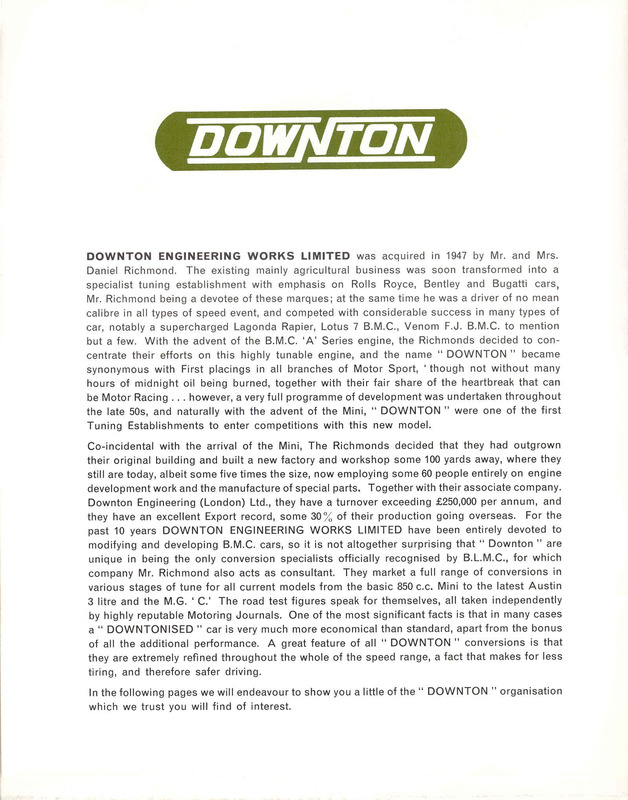 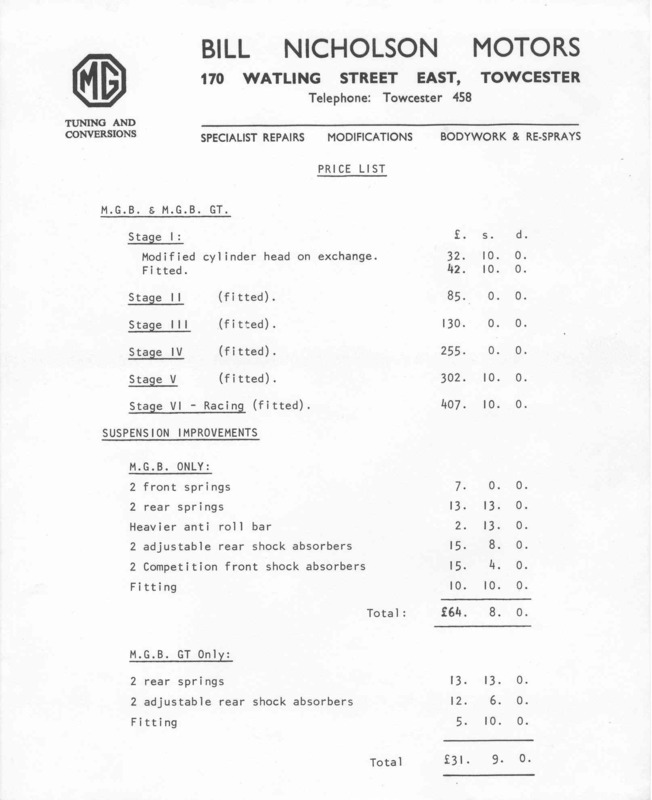 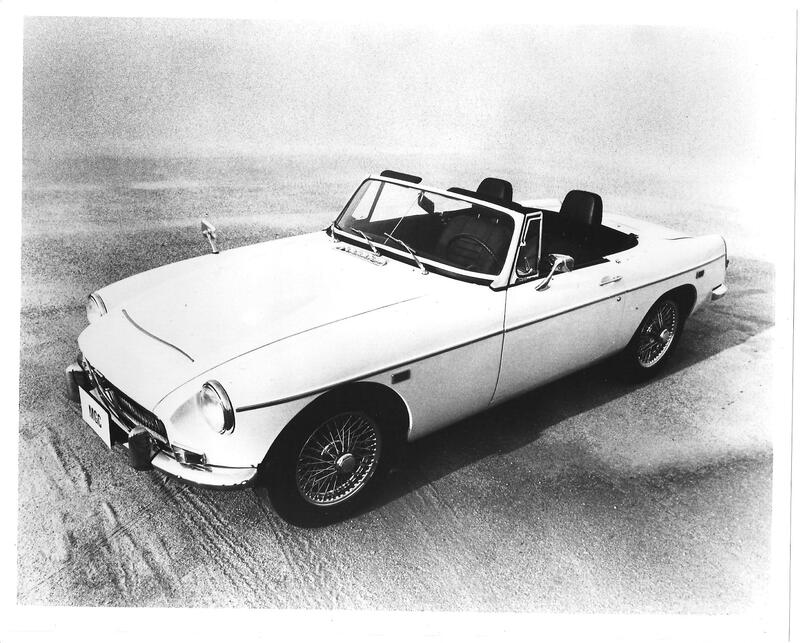 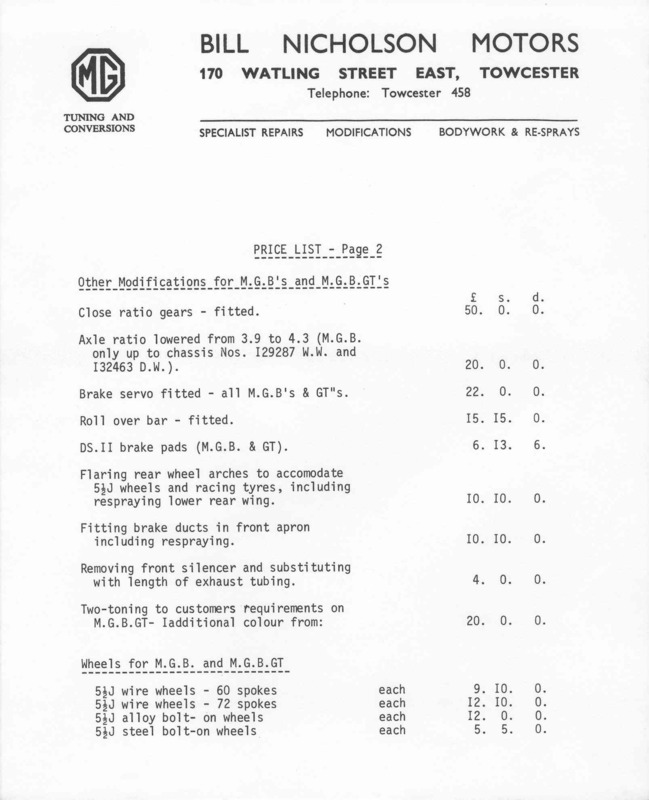 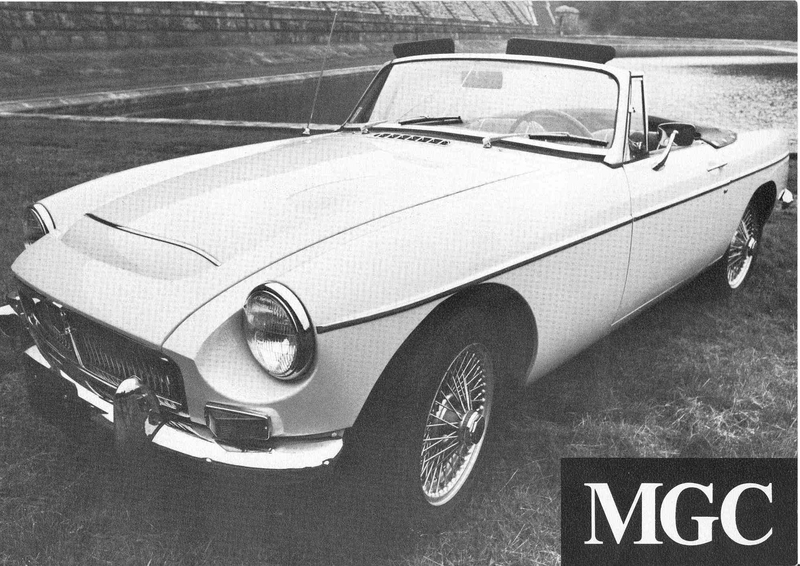 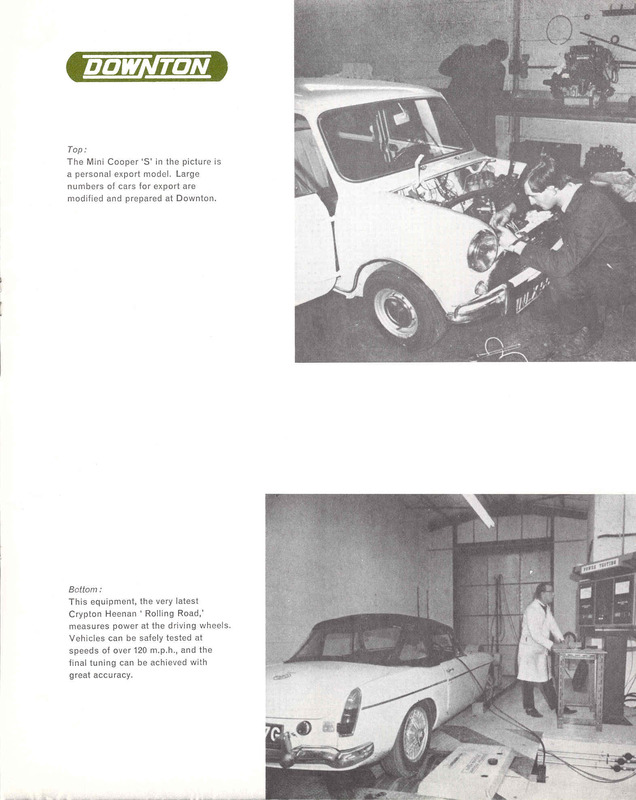 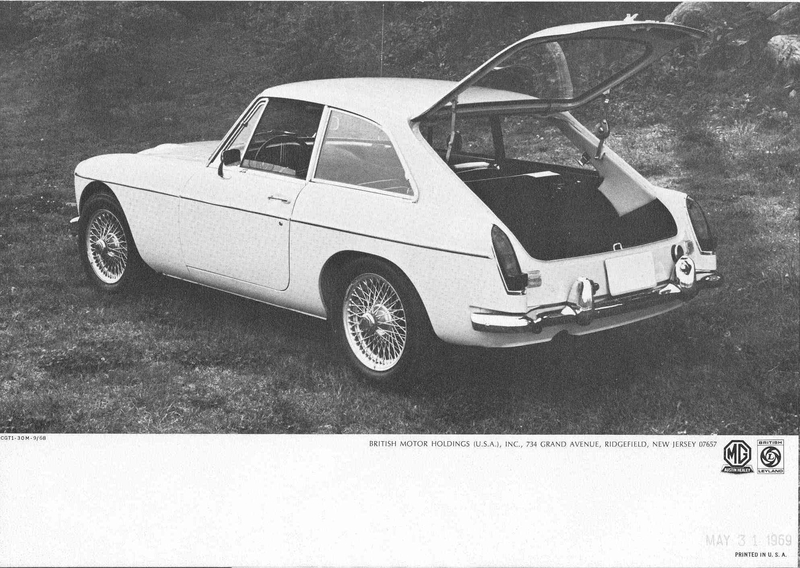 This car was Snowberry White with steel wheels when supplied new by University Motors in England. 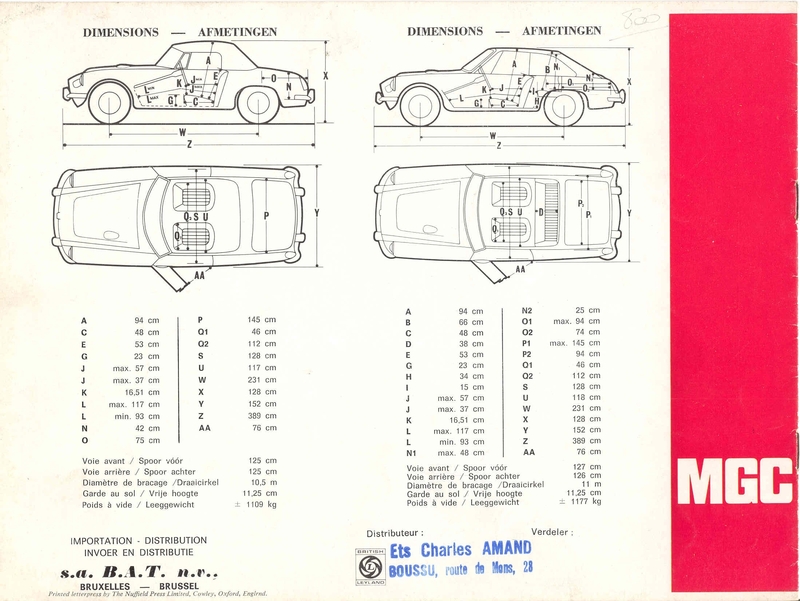 from Paris. 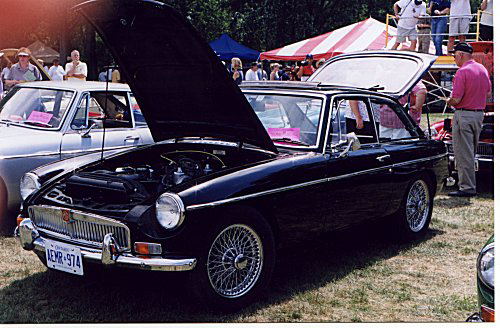 US import restored in 1999.
from Germany. 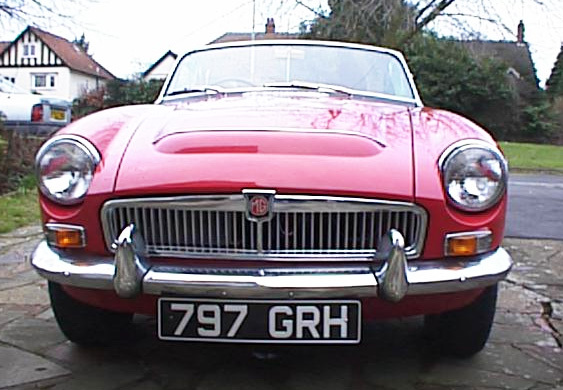 Bought on 21 April 2006 in absolutely original condition - 8400 miles! 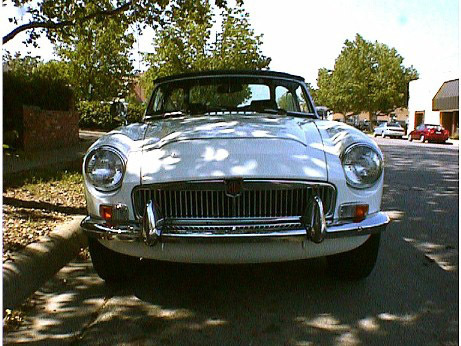 From Sacramento, CA, USA. 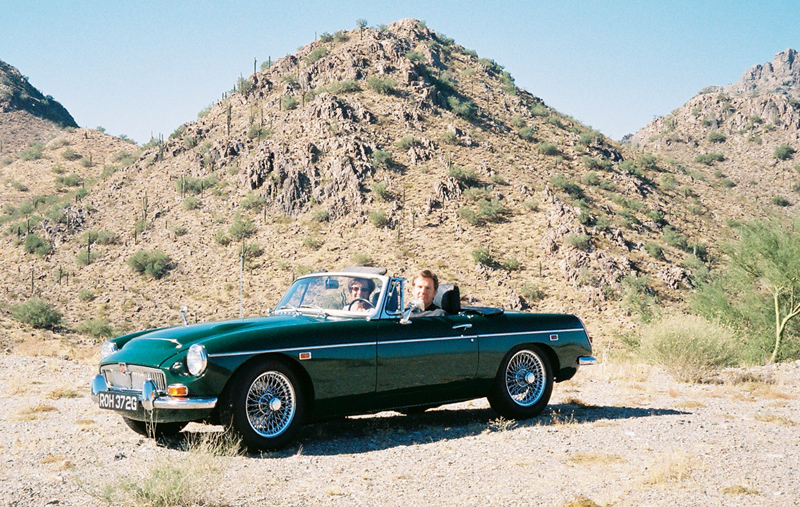 California Dreamin! 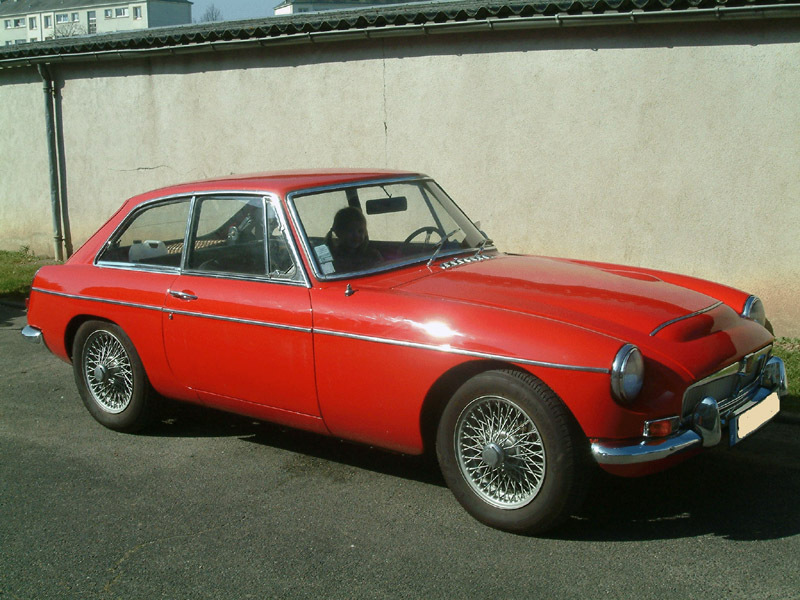 Amazingly straight and without rust. 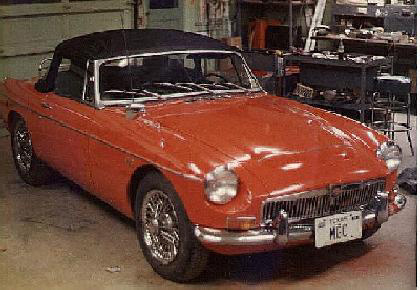 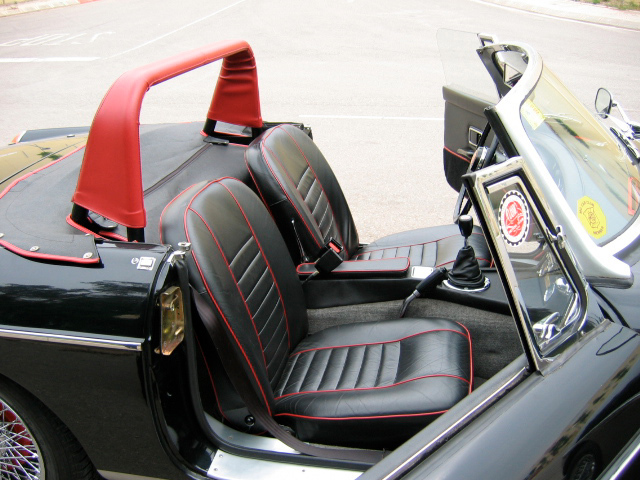 Shaan Parekh's 68 MGC from Toronto. 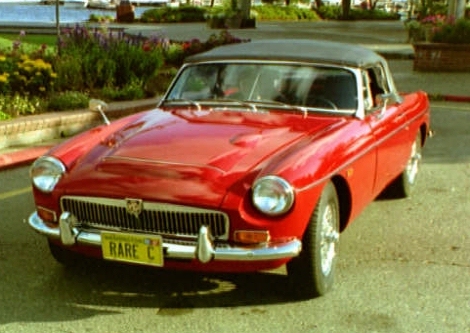 Car purchased in 1997 from Vancouver BC. 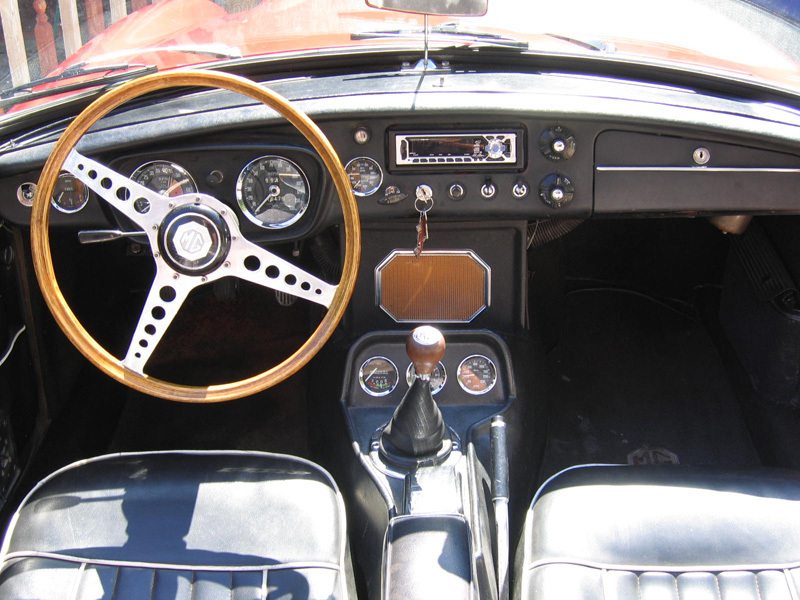 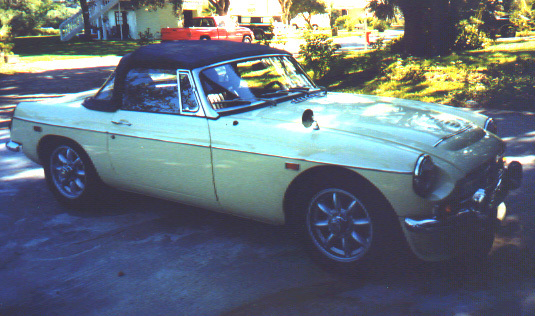 purchased in 1971 for $2000.00 It had 19,000 miles on it at the time. 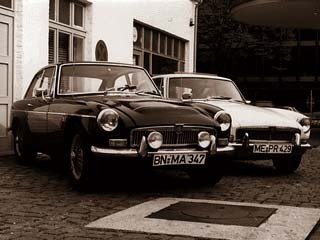 This picture was taken about 1978-79. 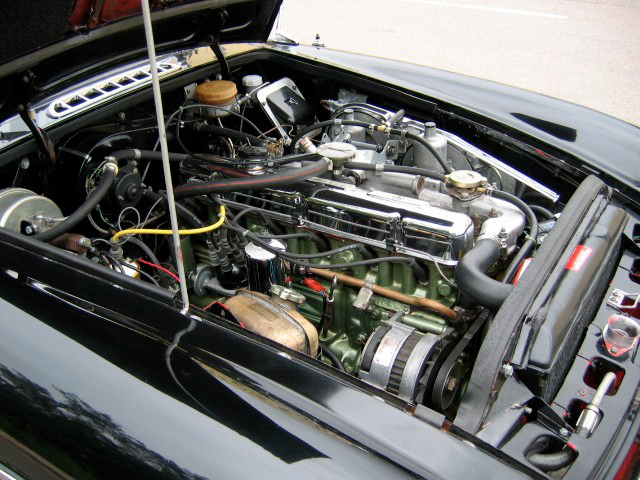 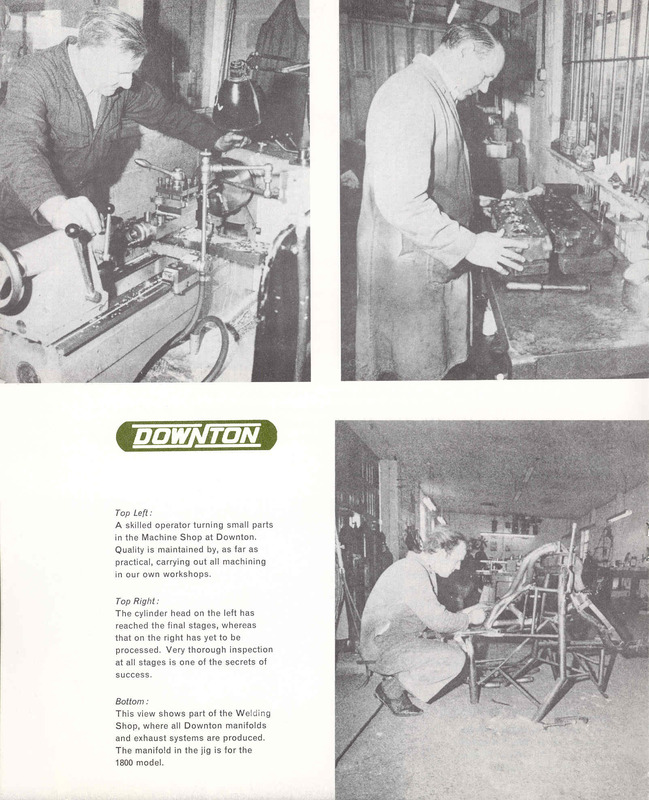 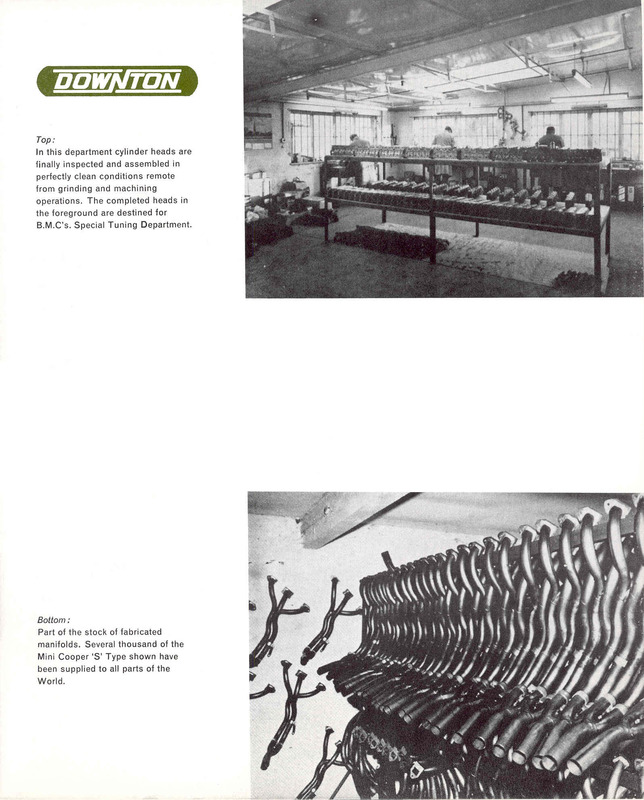 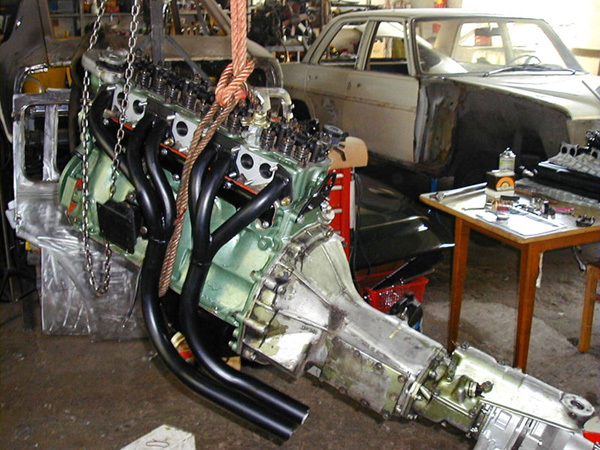 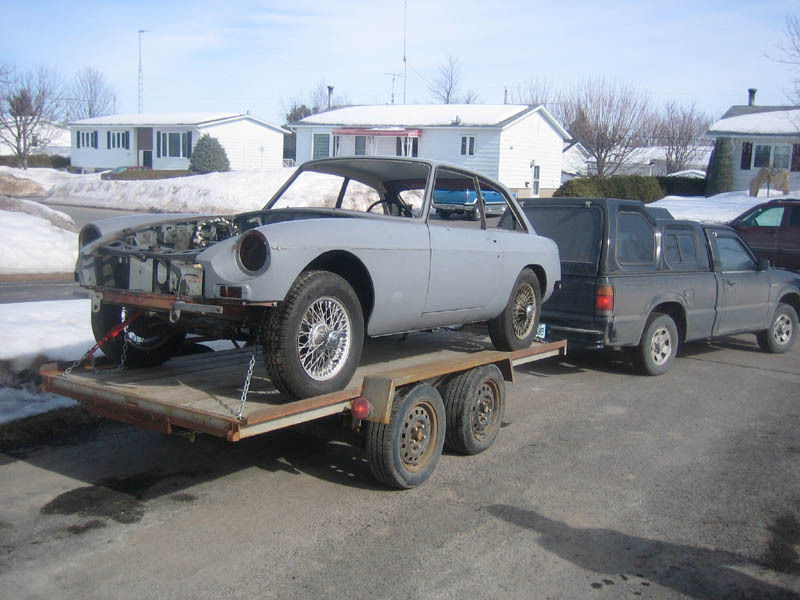 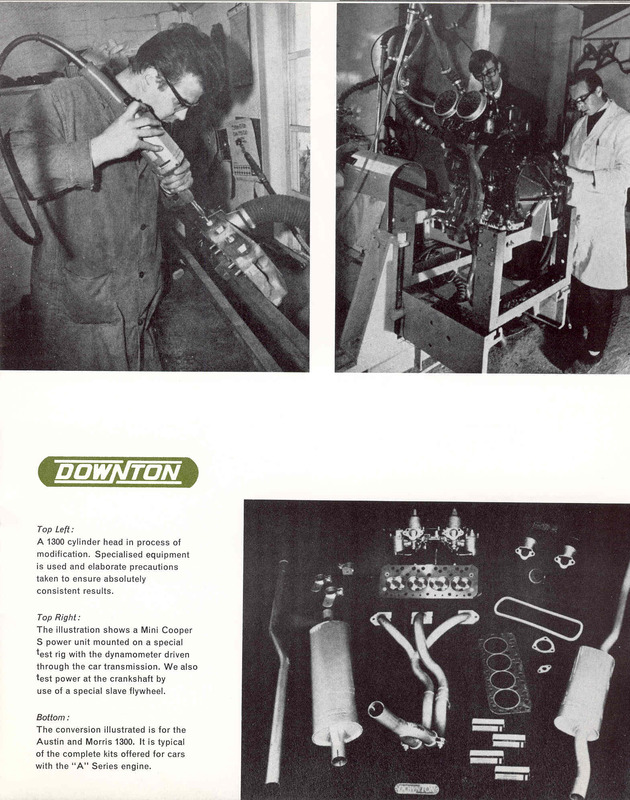 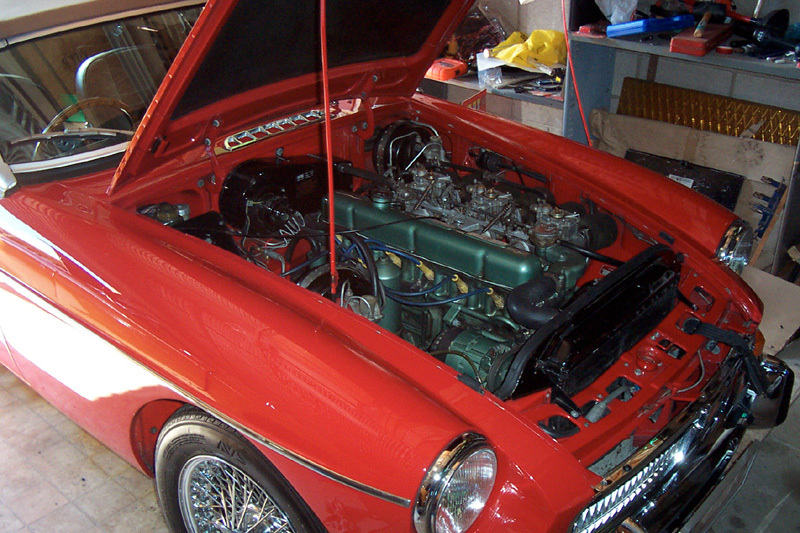 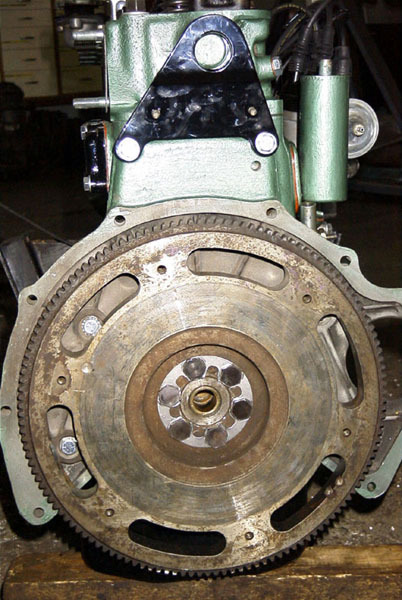 It is currently undergoing a complete restoration on it and it's in pieces all the owner's garage! 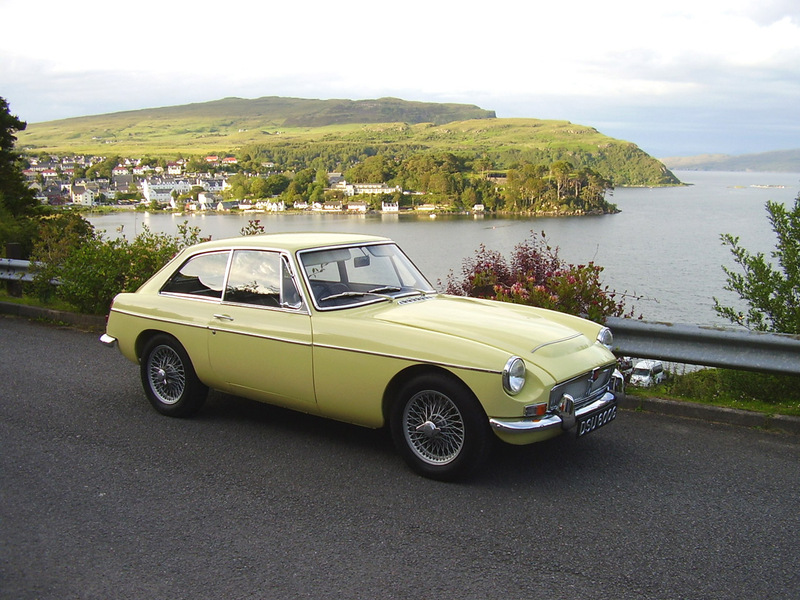 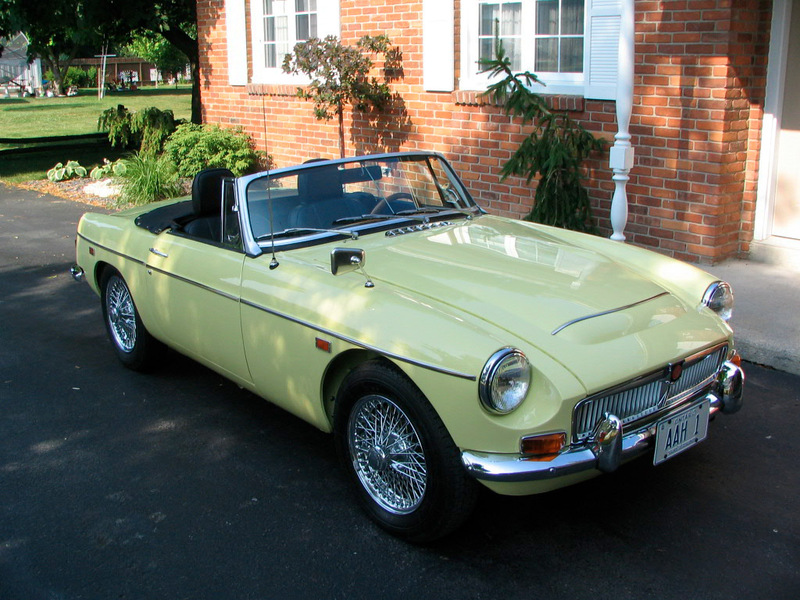 Jim Hendersons 1968 MGCGT in Snowberry White. 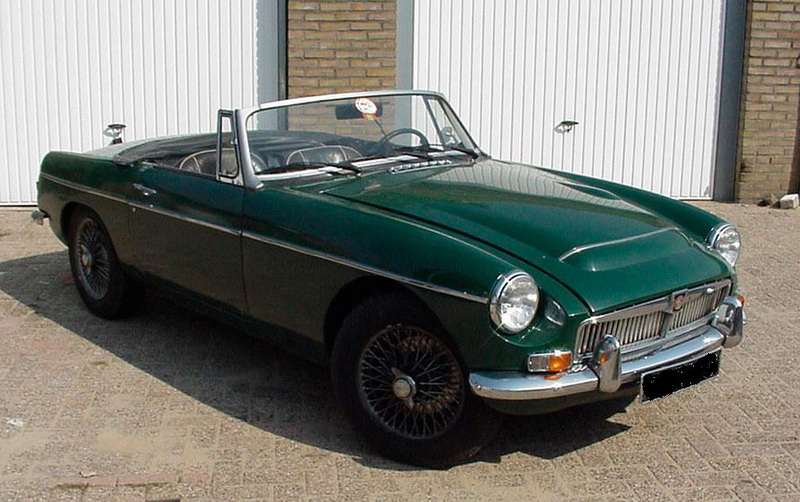 Now residing in the Netherlands having imported it from South England. 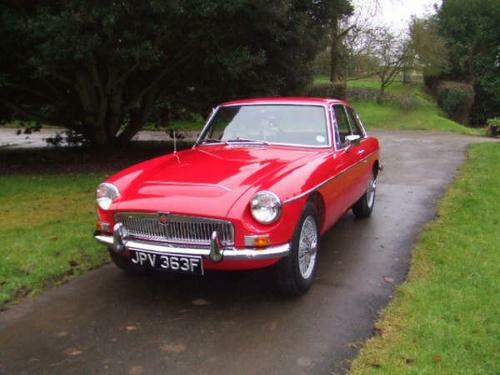 It is still RHD so it is handy on UK holidays. 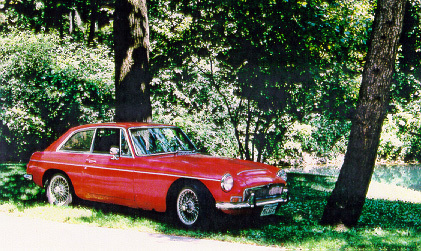 It is driven in all weather as you can see by the photo. 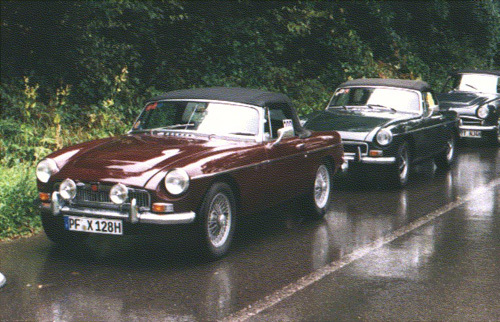 Wet & dirty, but still beautiful! 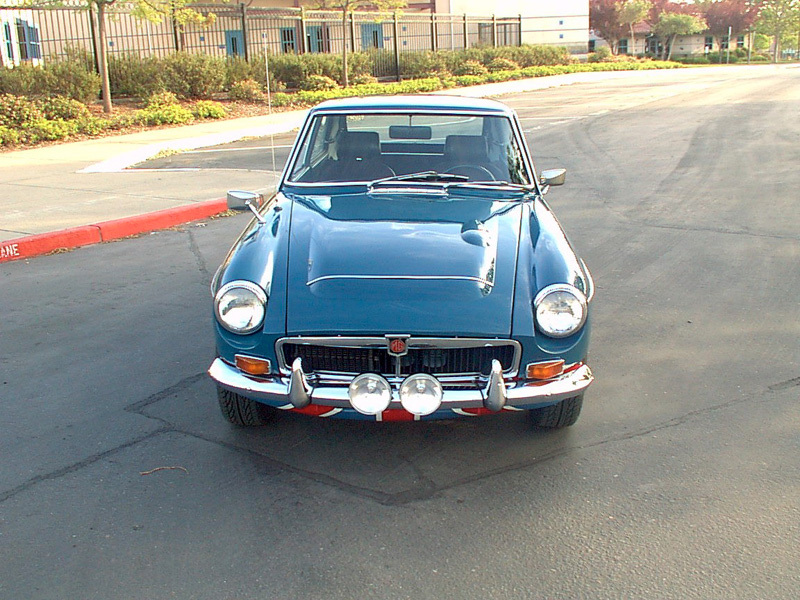 From Sacramento, CA, USA. 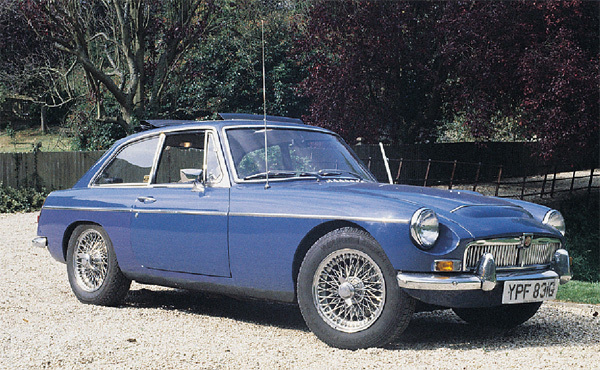 Mineral Blue with Automatic gearbox. 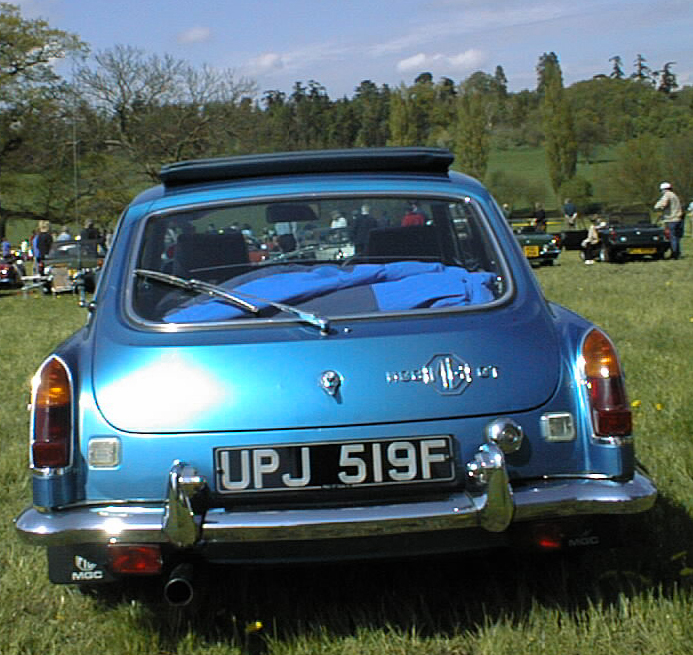 MGC GT with rear wiper MG Car Club Spring meeting at Loseley Park.